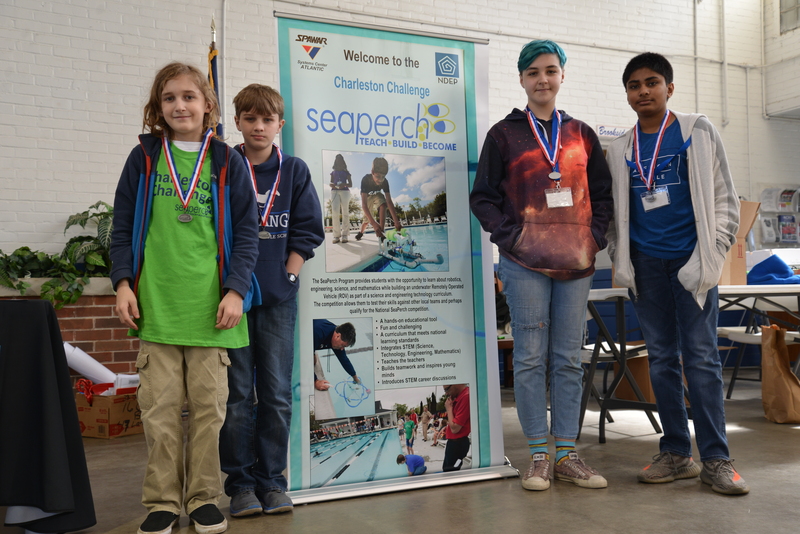 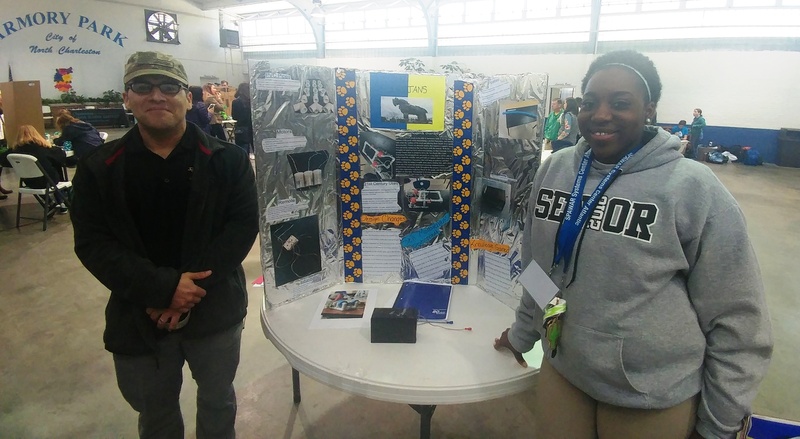 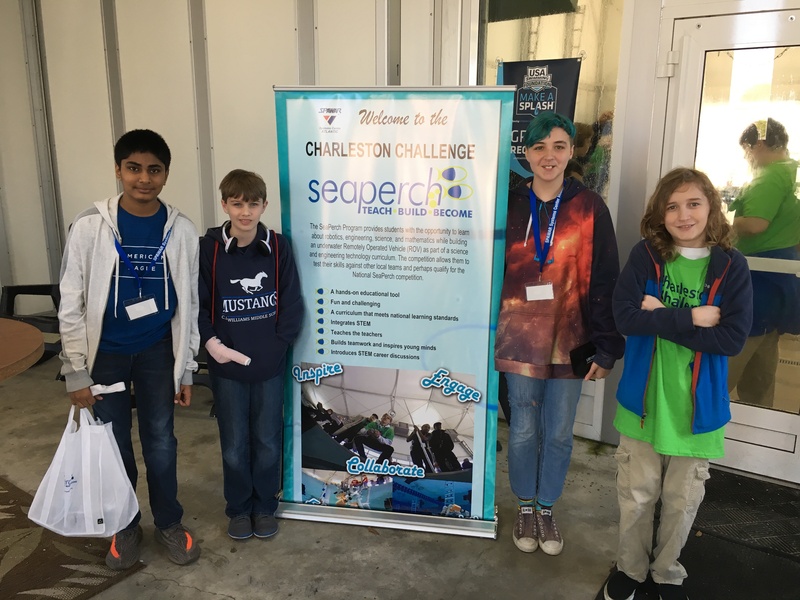 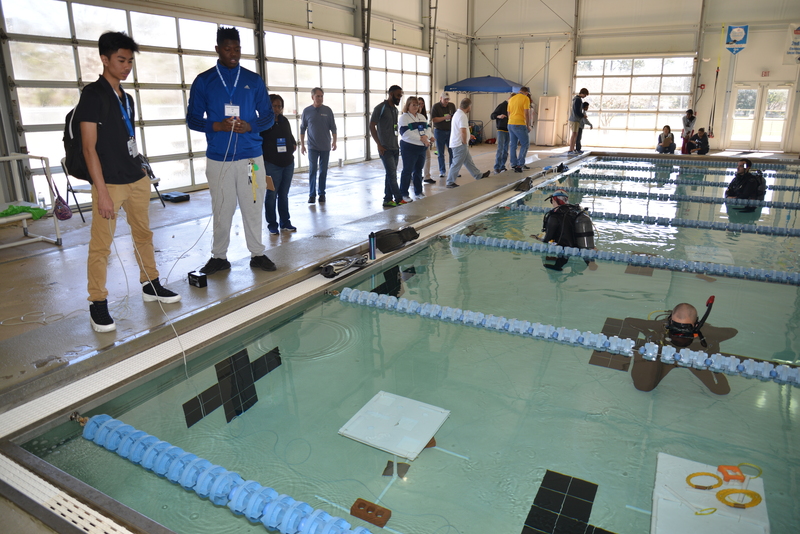 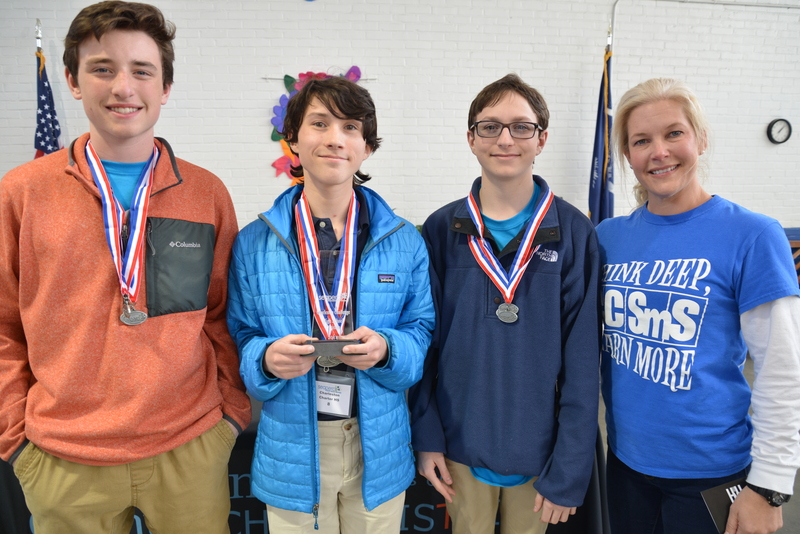 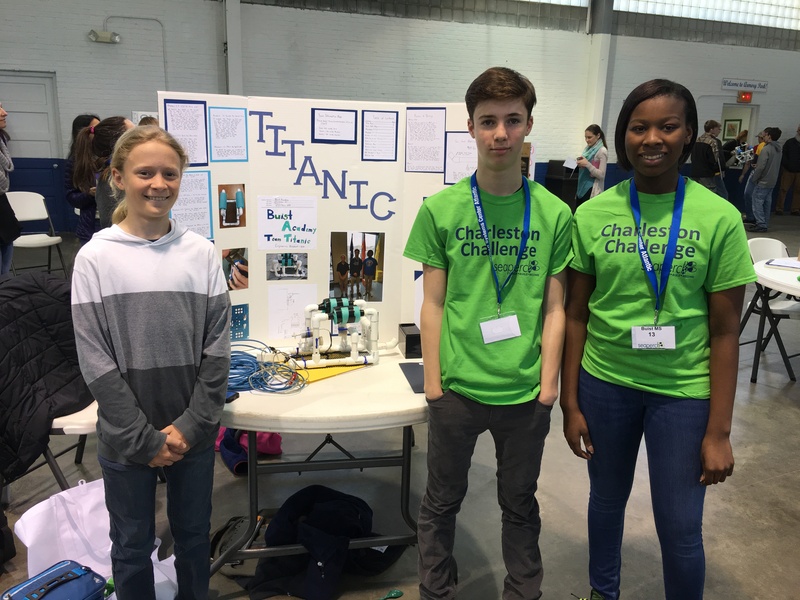 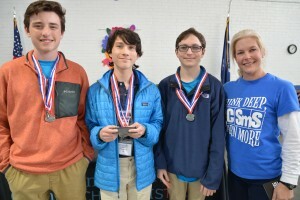 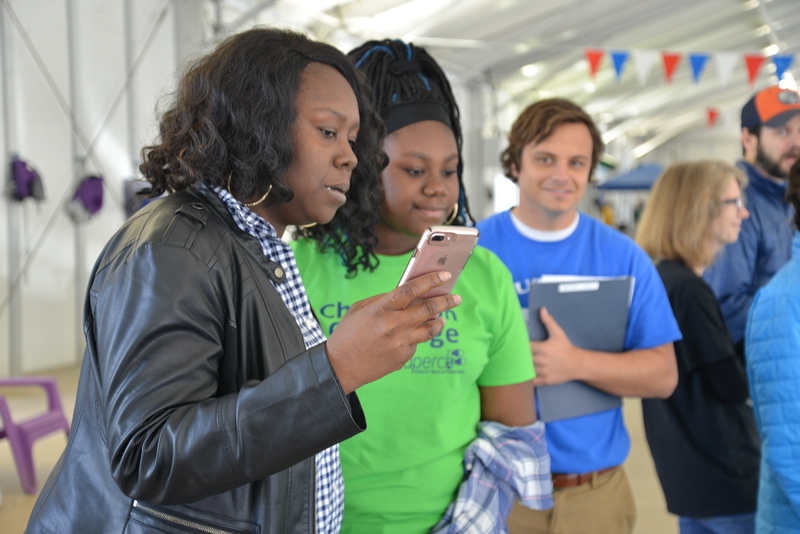 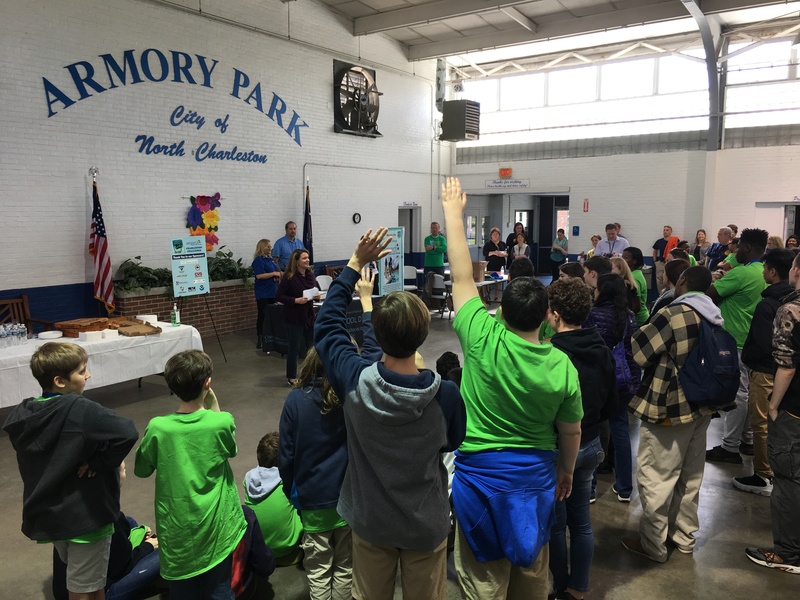 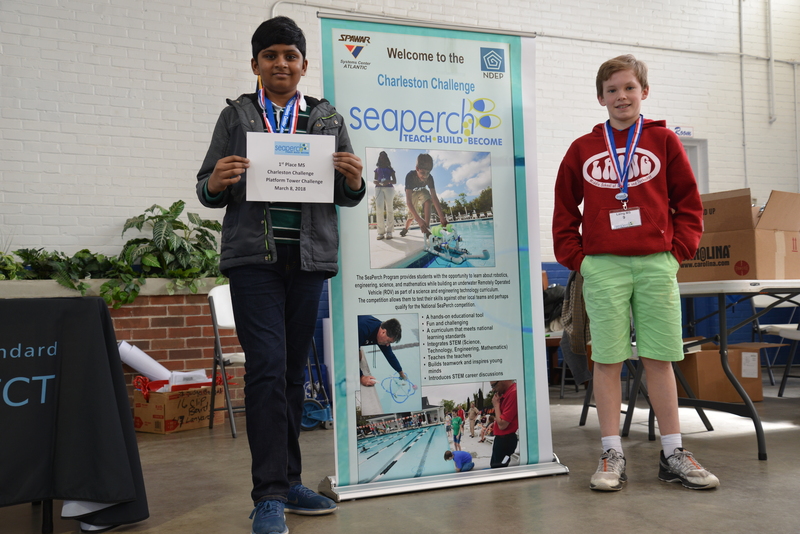 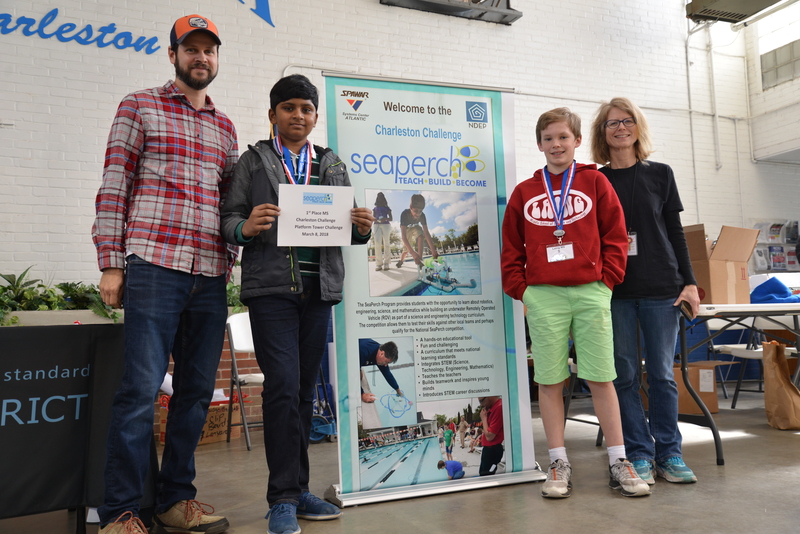 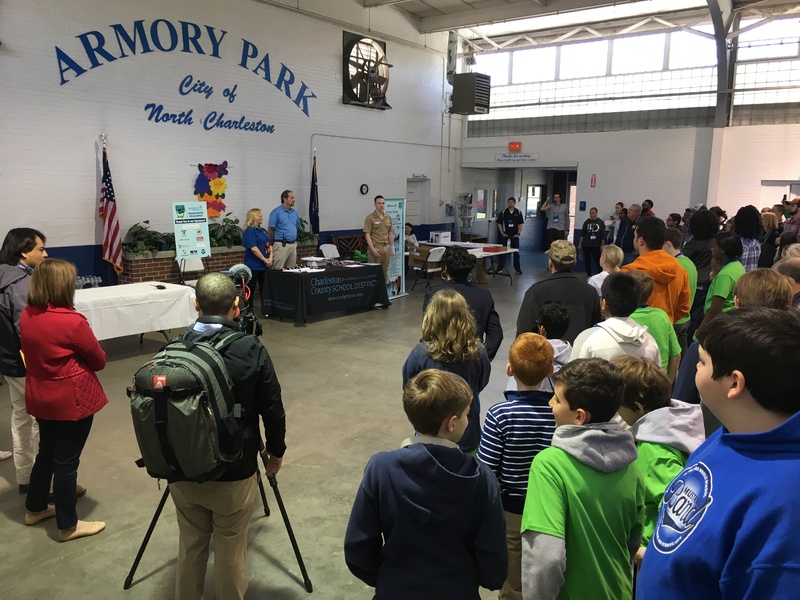 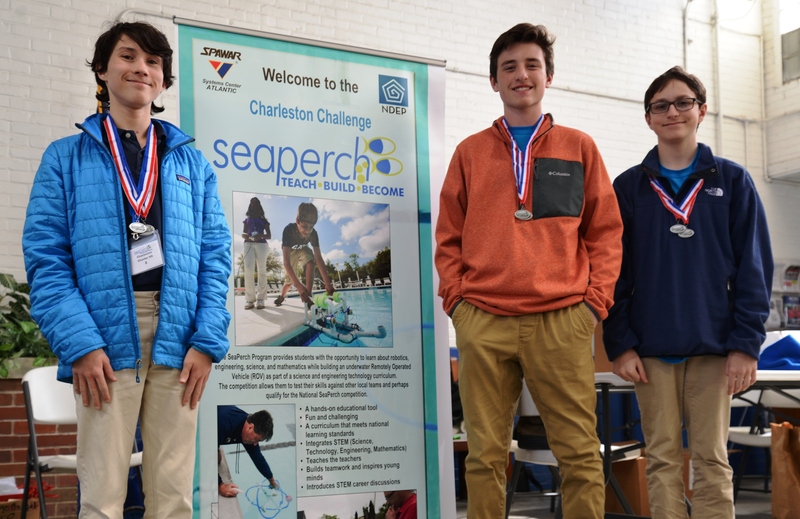 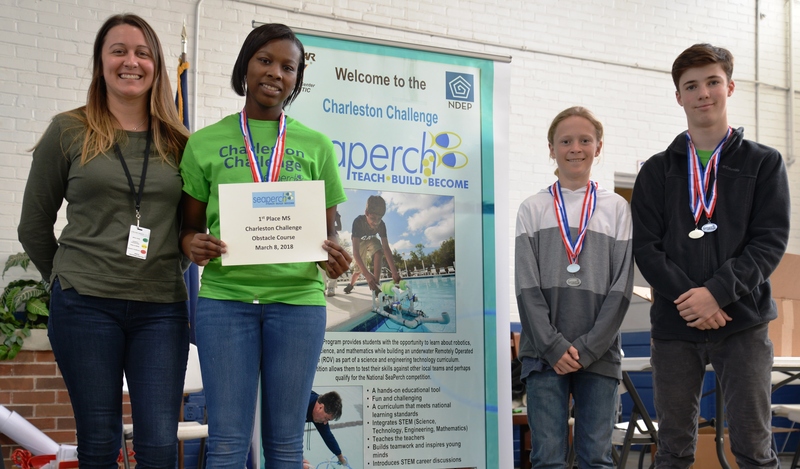 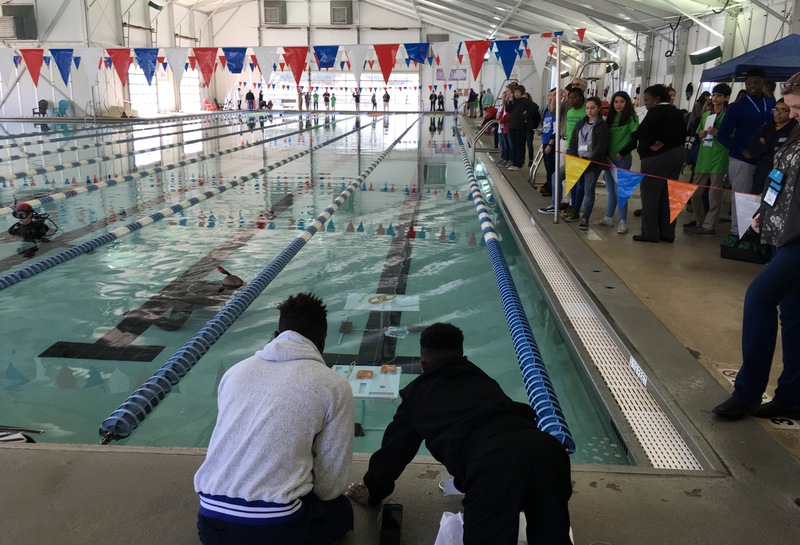 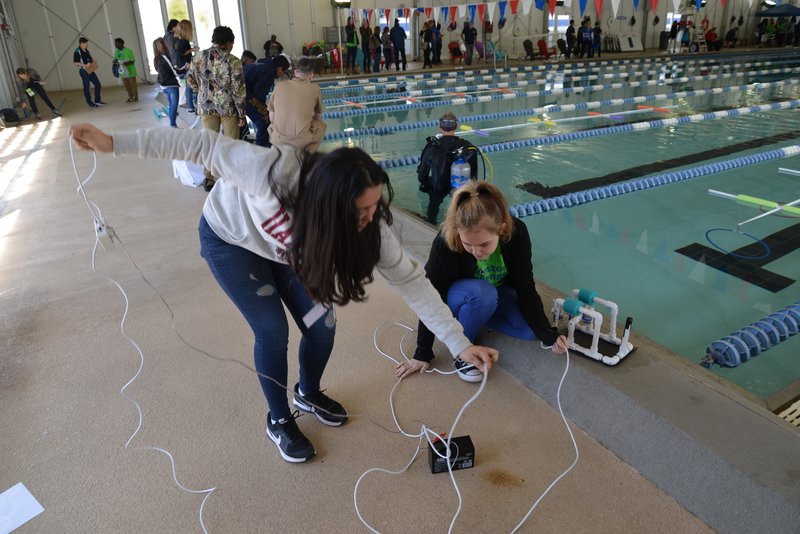 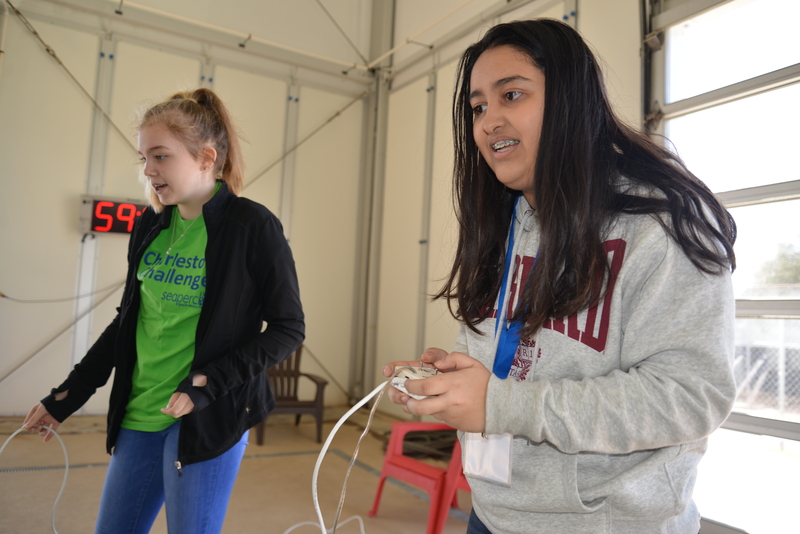 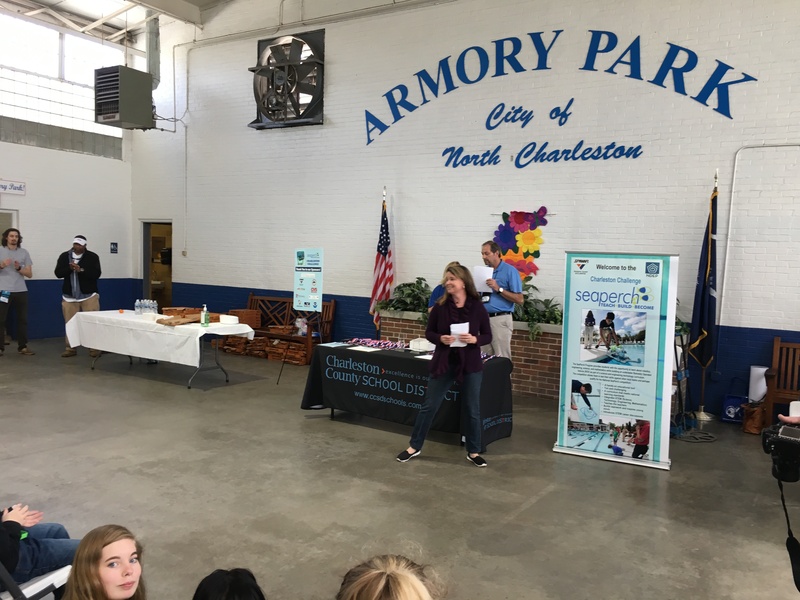 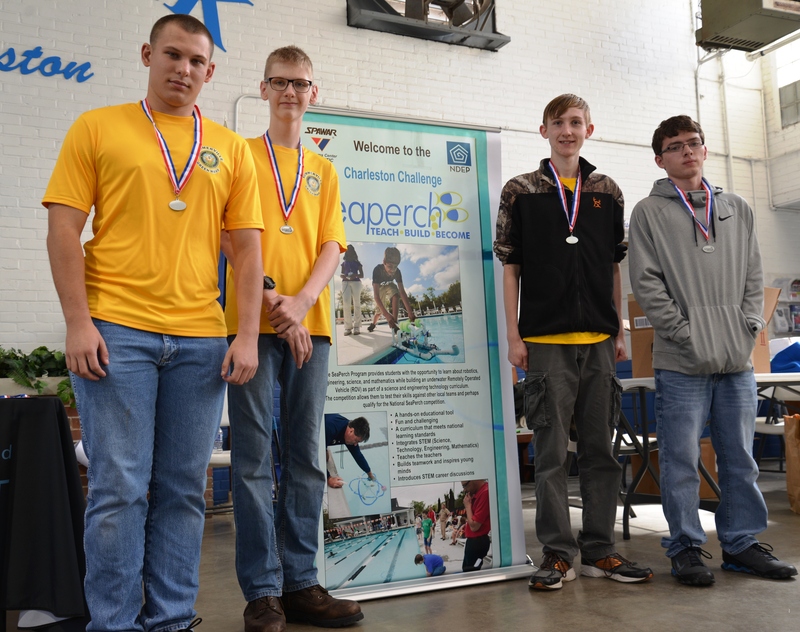 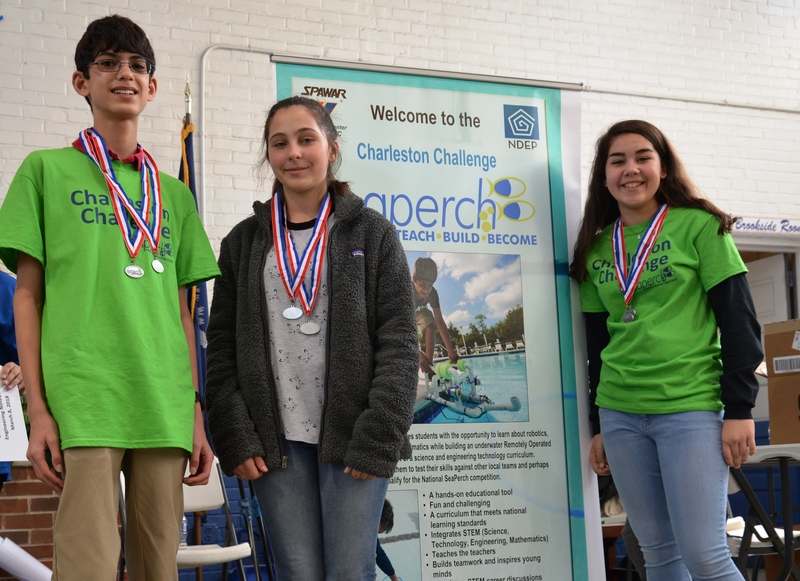 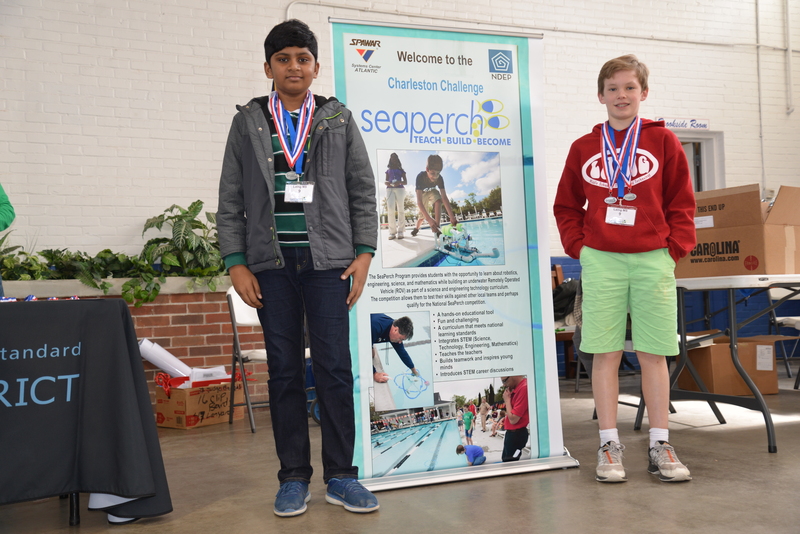 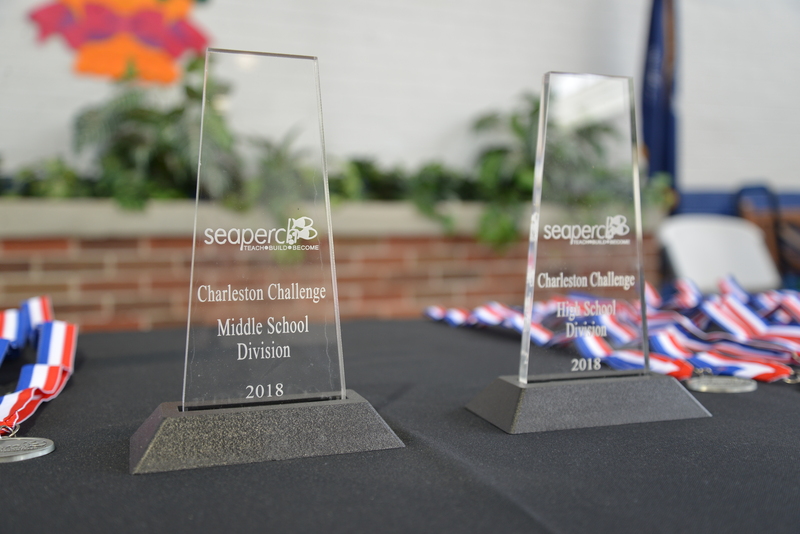 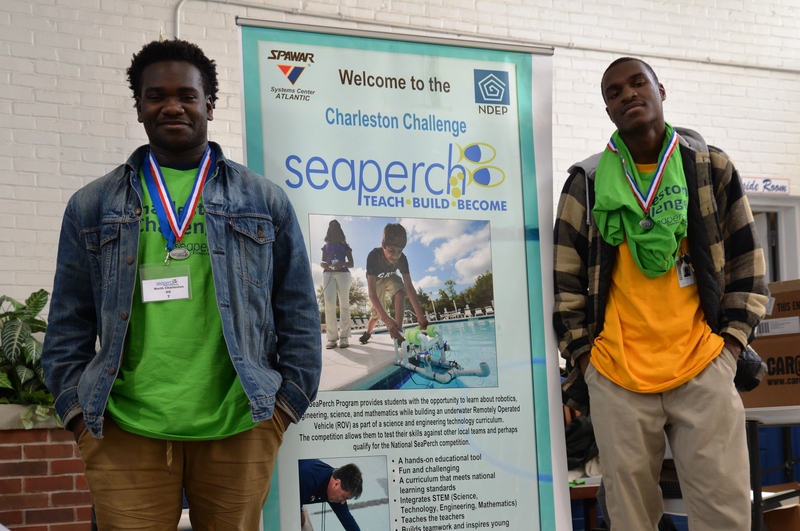 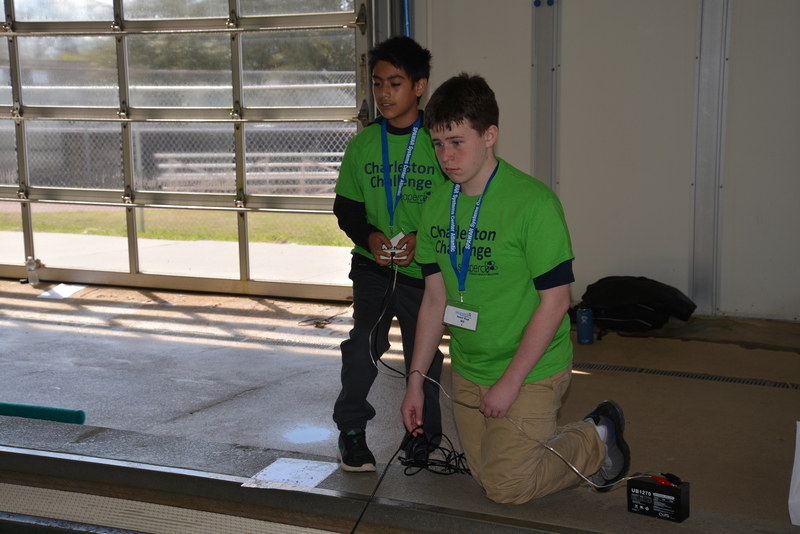 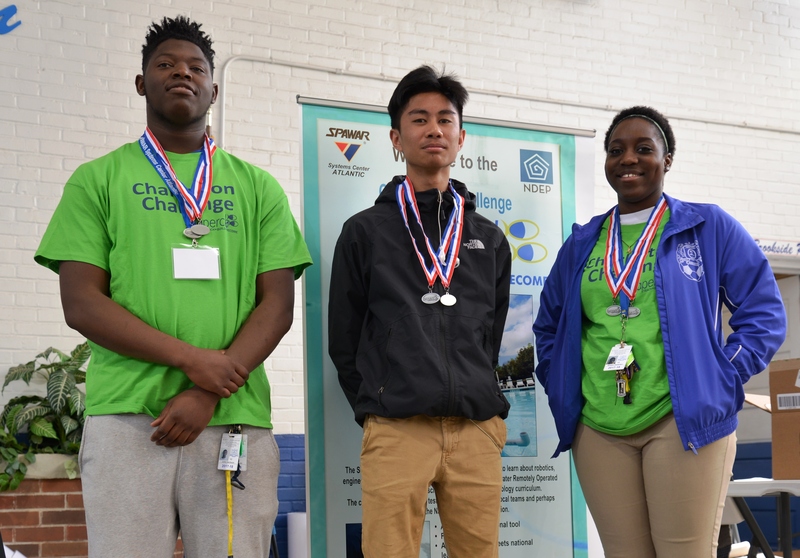 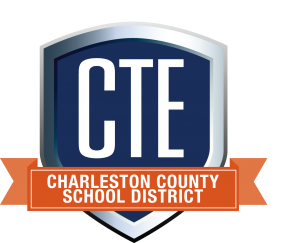 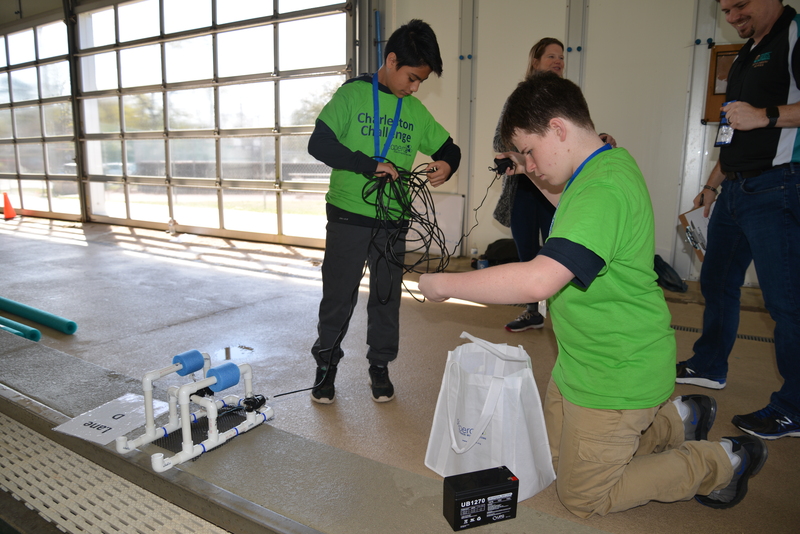 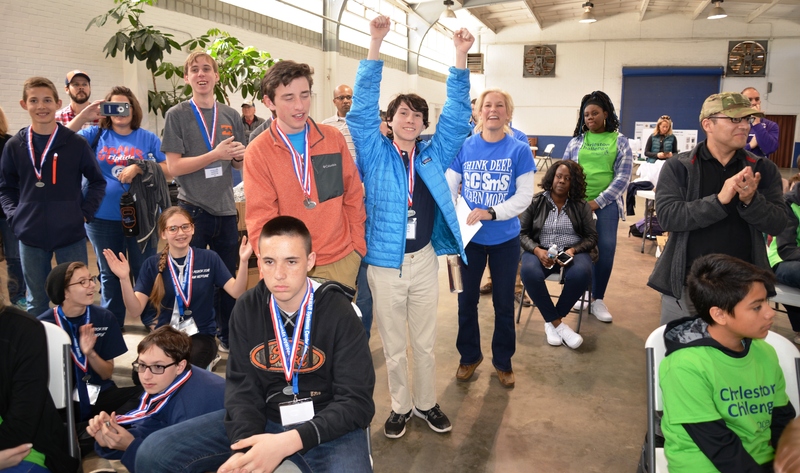 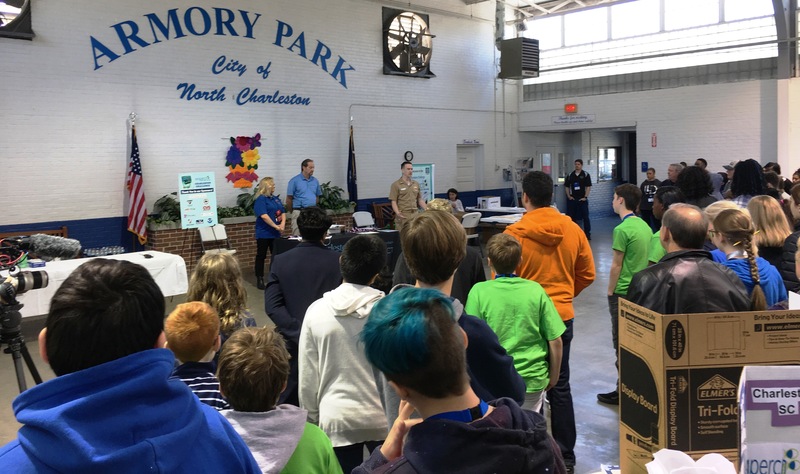 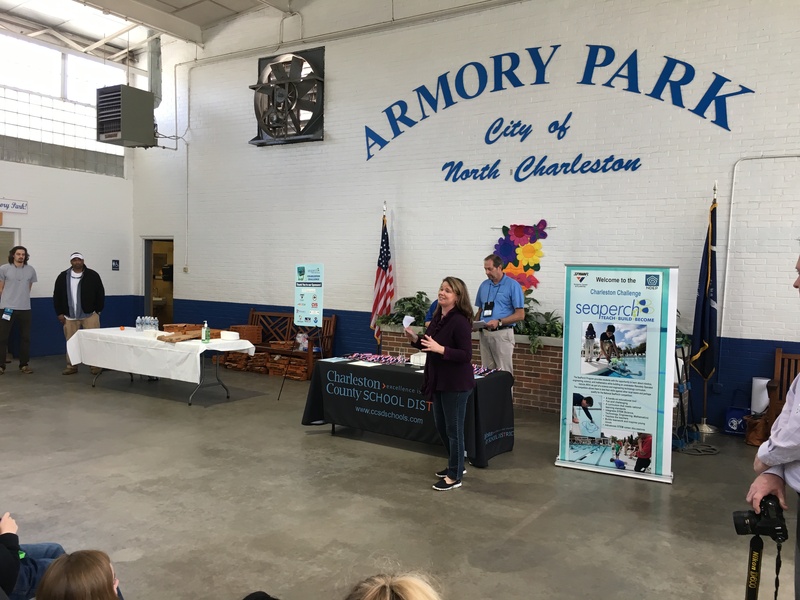 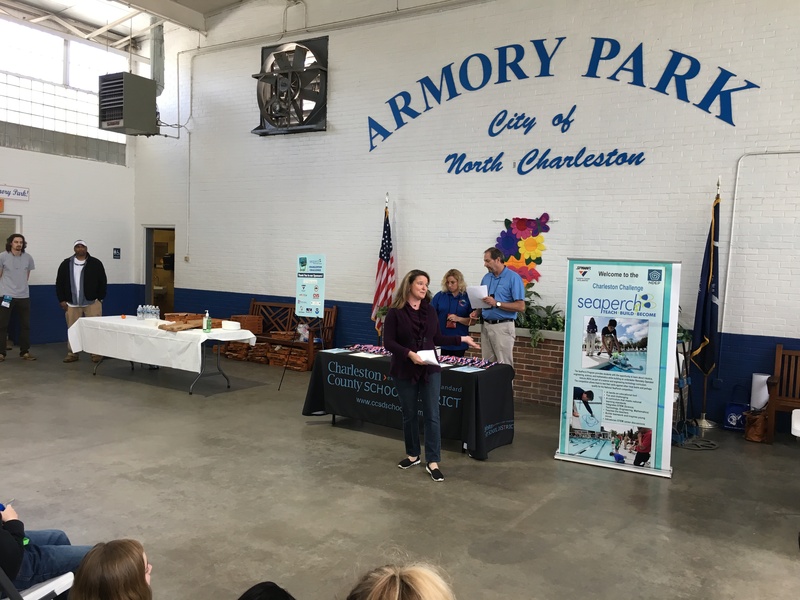 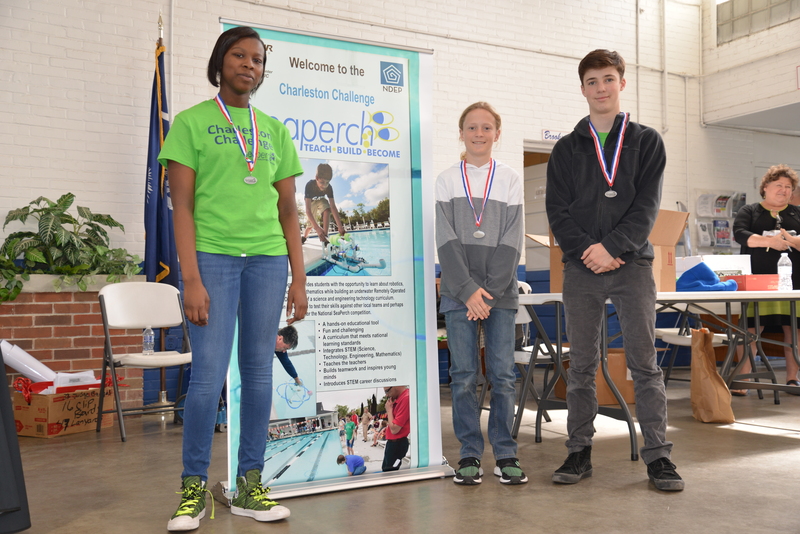 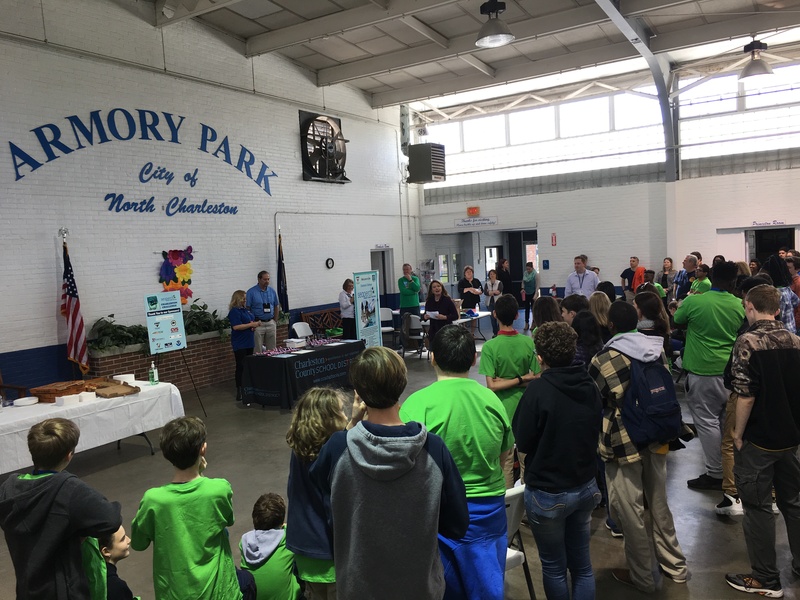 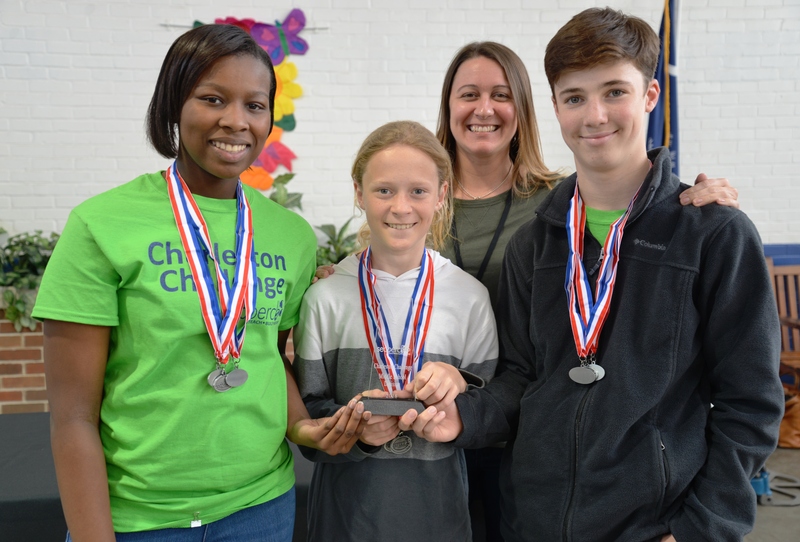 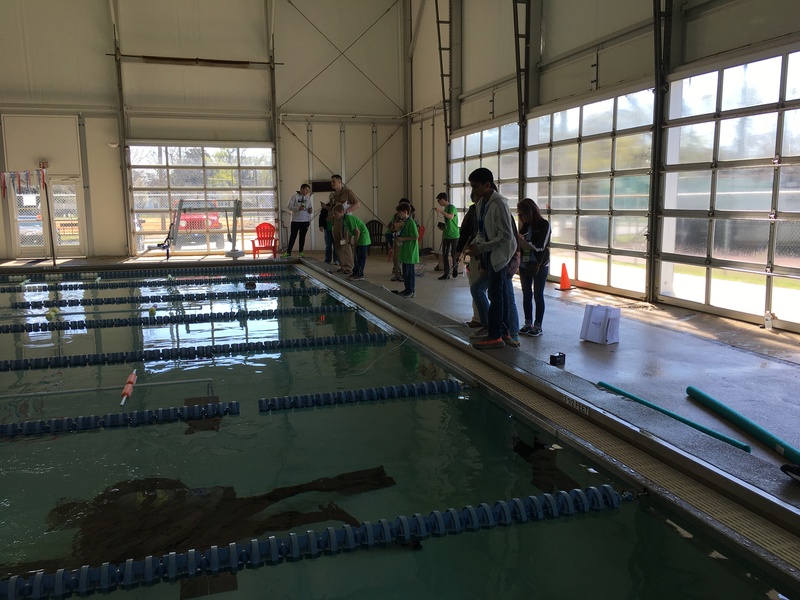 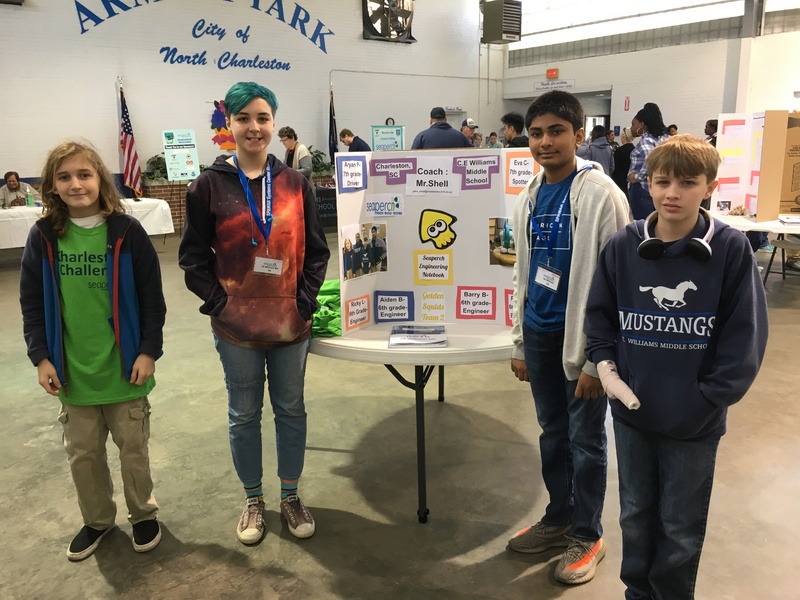 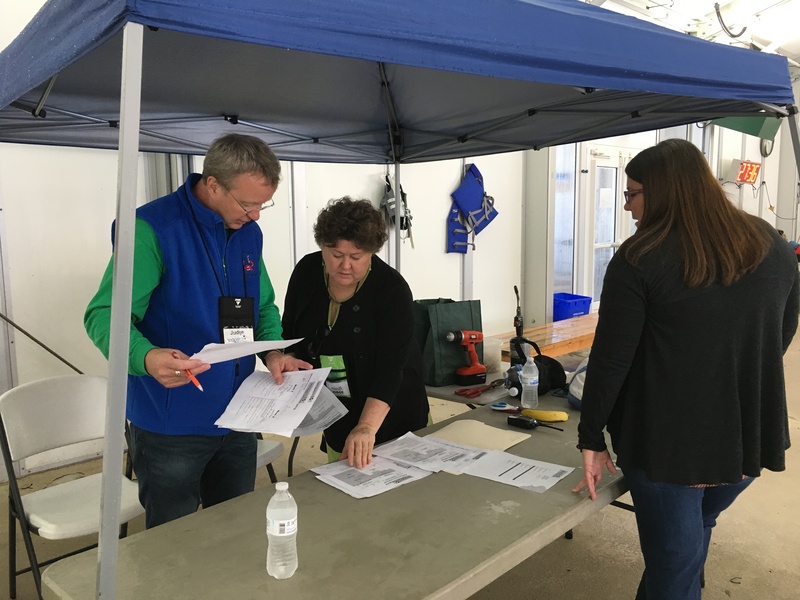 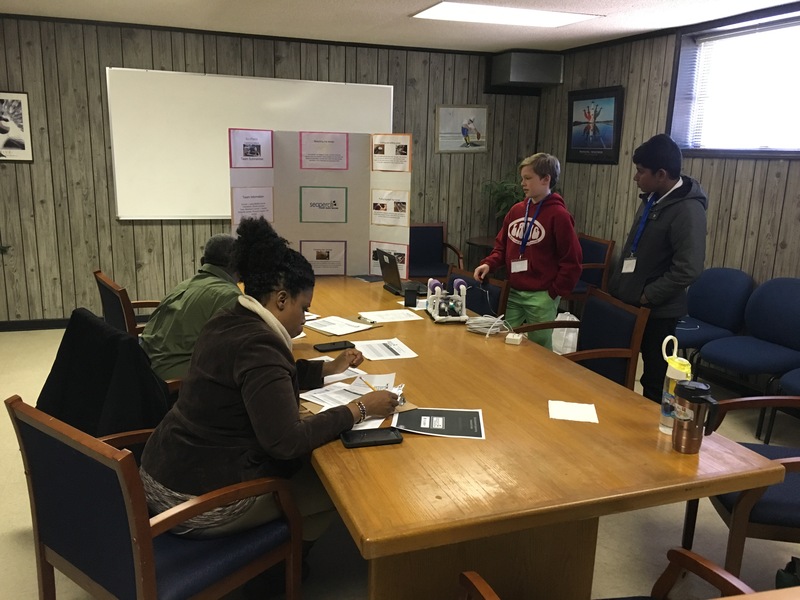 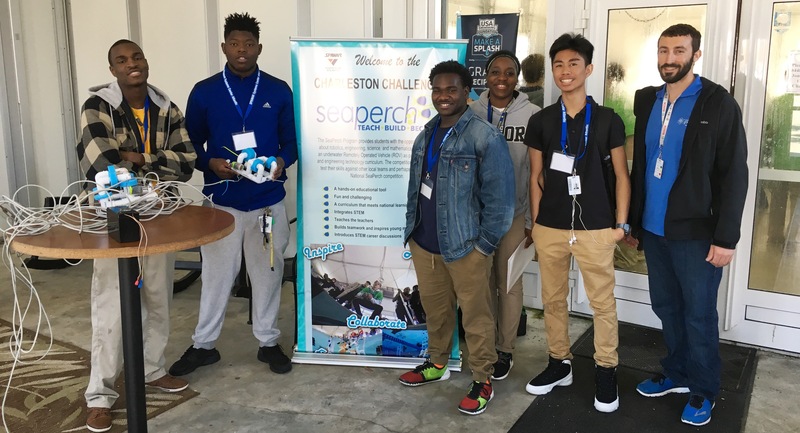 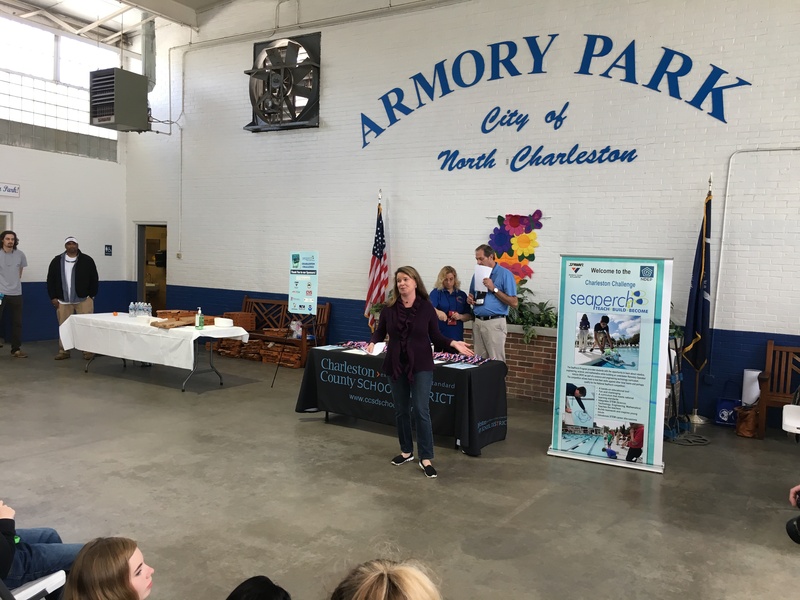 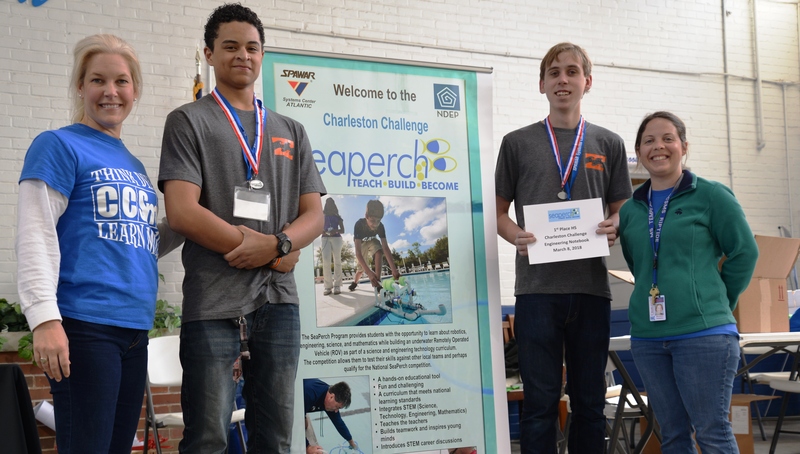 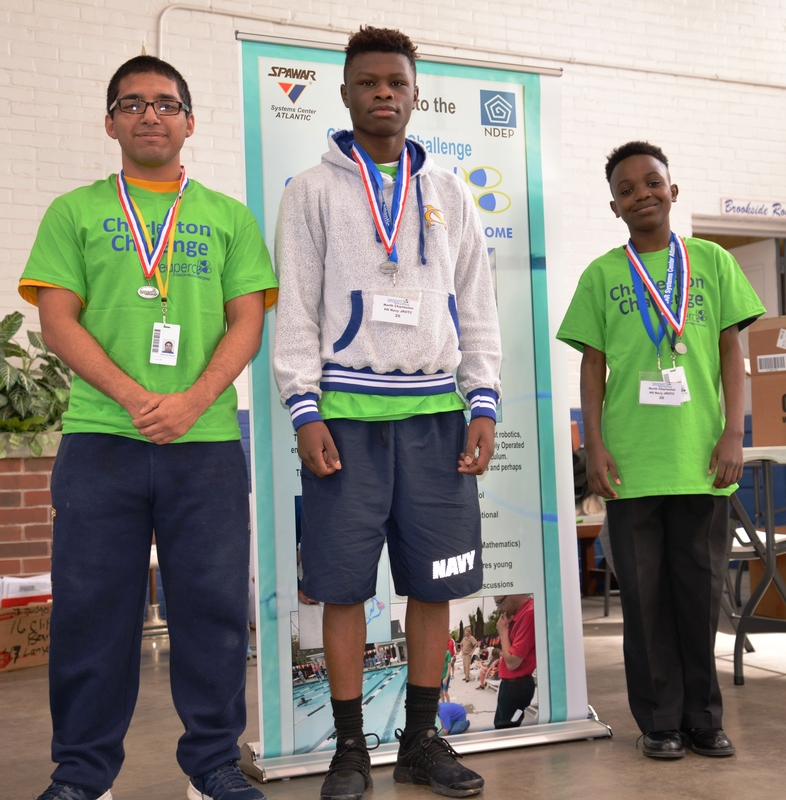 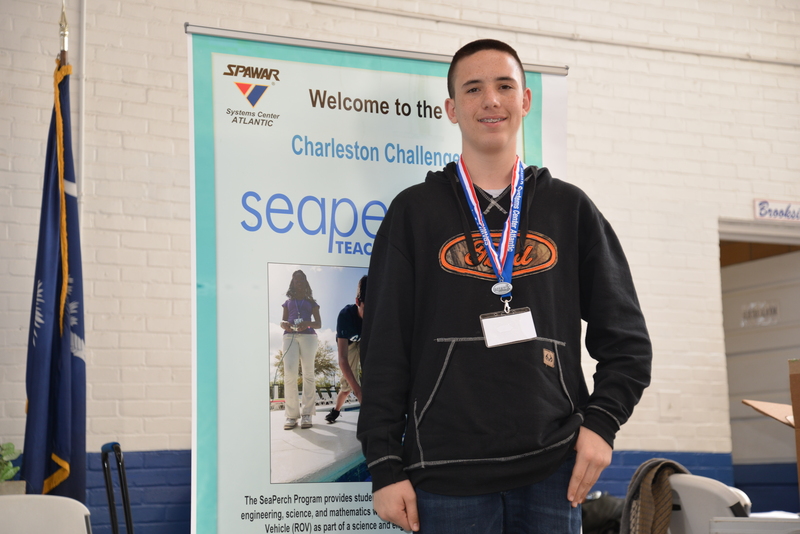 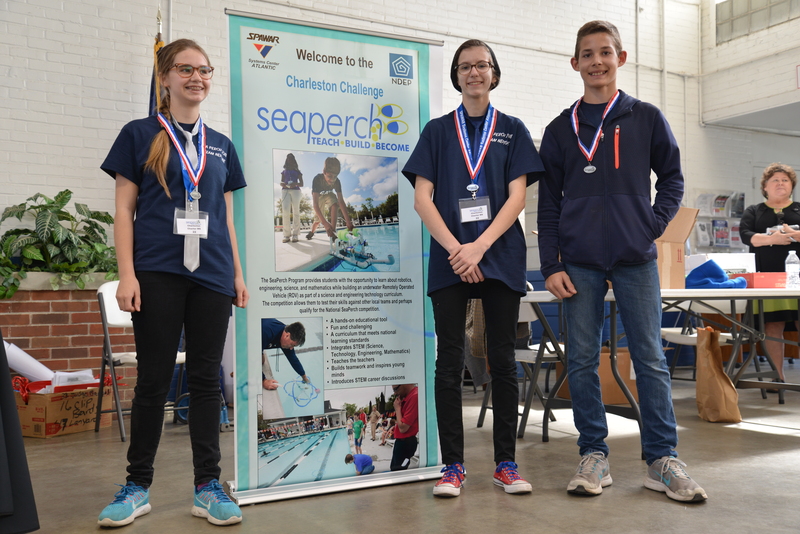 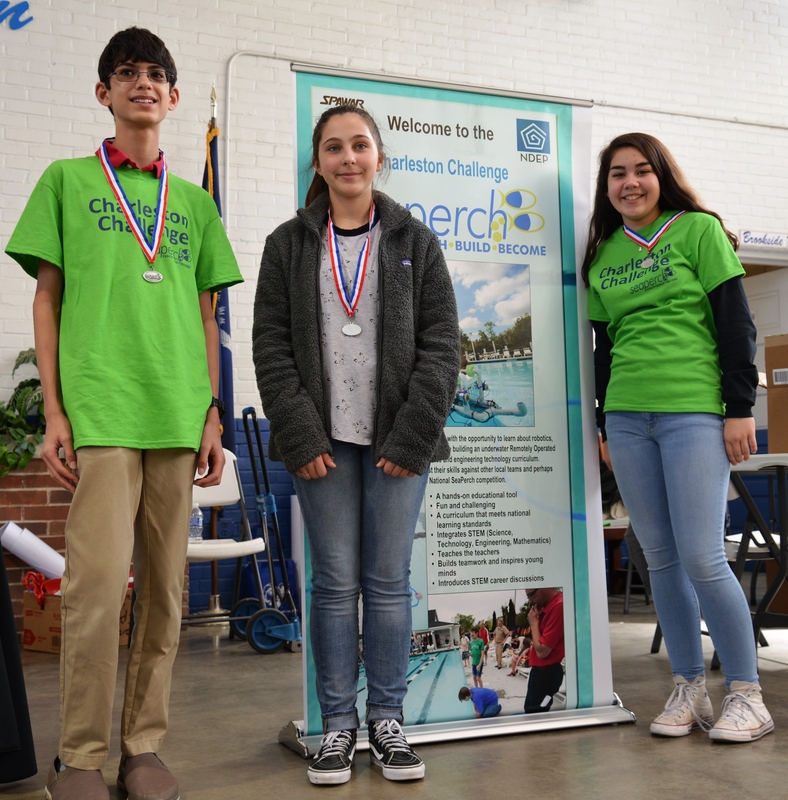 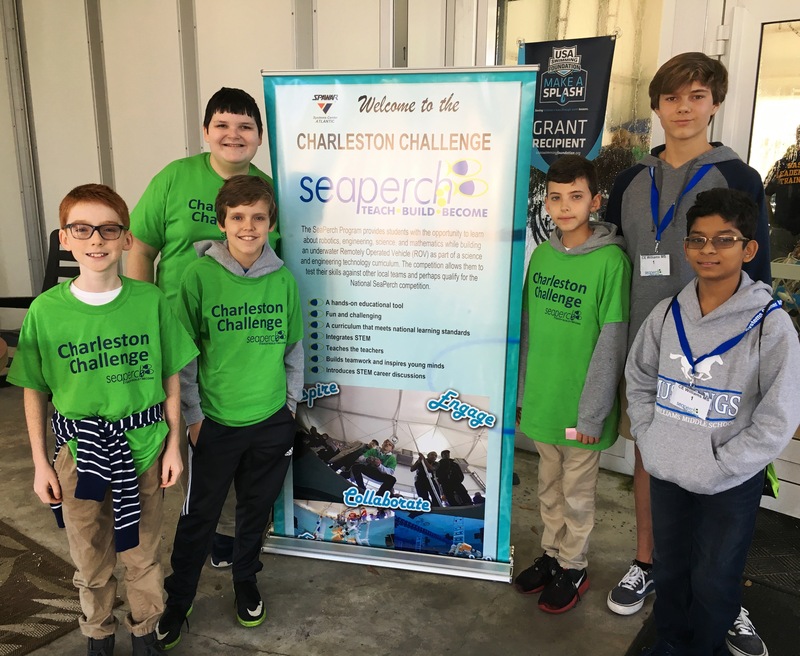 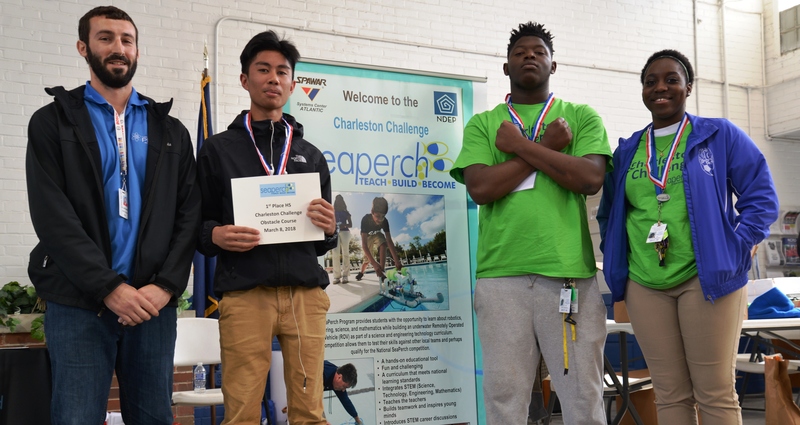 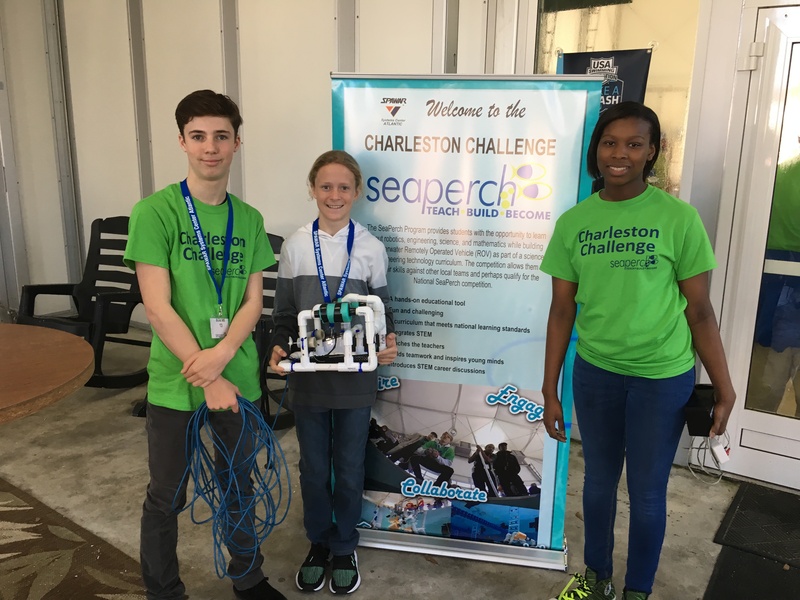 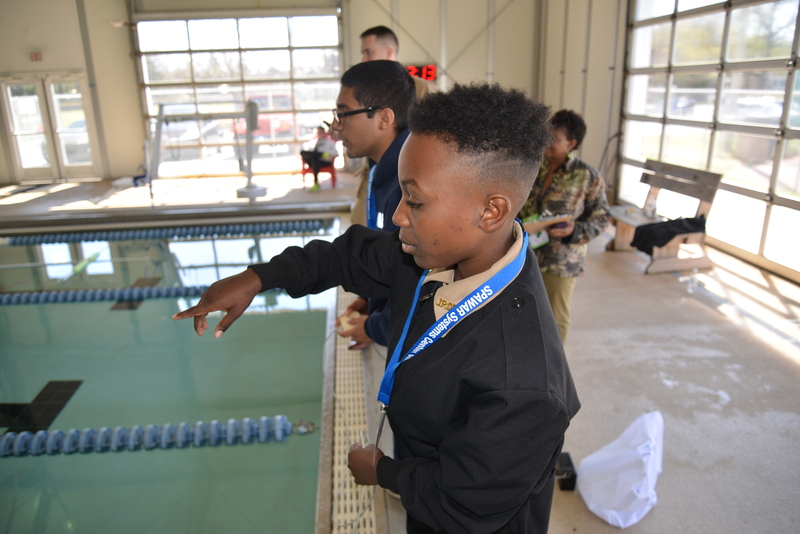 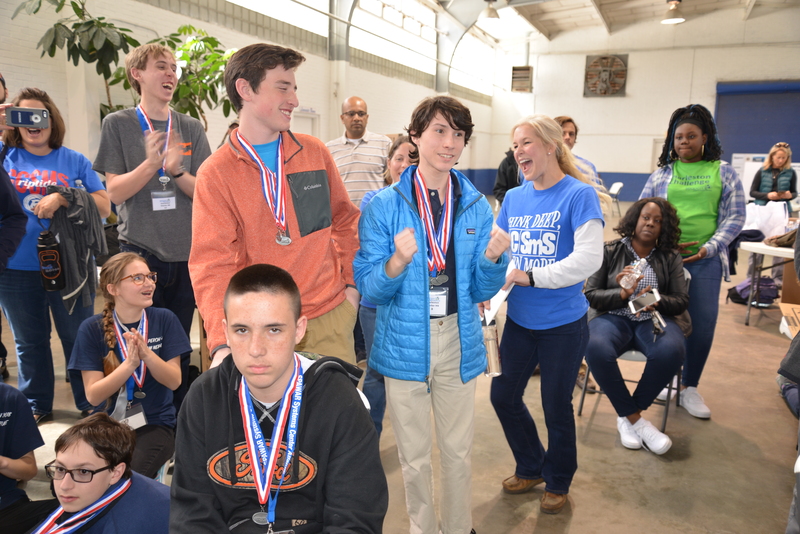 March 8, 2018 – North Charleston, SC – Middle and high schools from throughout the Charleston region and beyond participated in the 8th annual SeaPerch Charleston Challenge hosted by Charleston County School District’s Science Department at Danny Jones Recreational Complex in North Charleston. 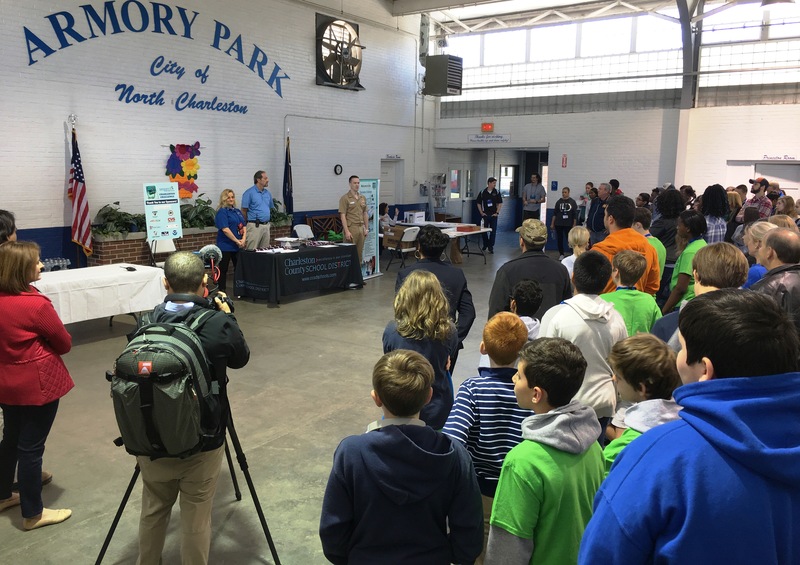 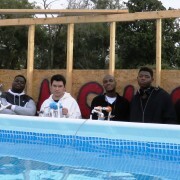 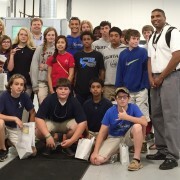 Check out this awesome video on the event from North Charleston! 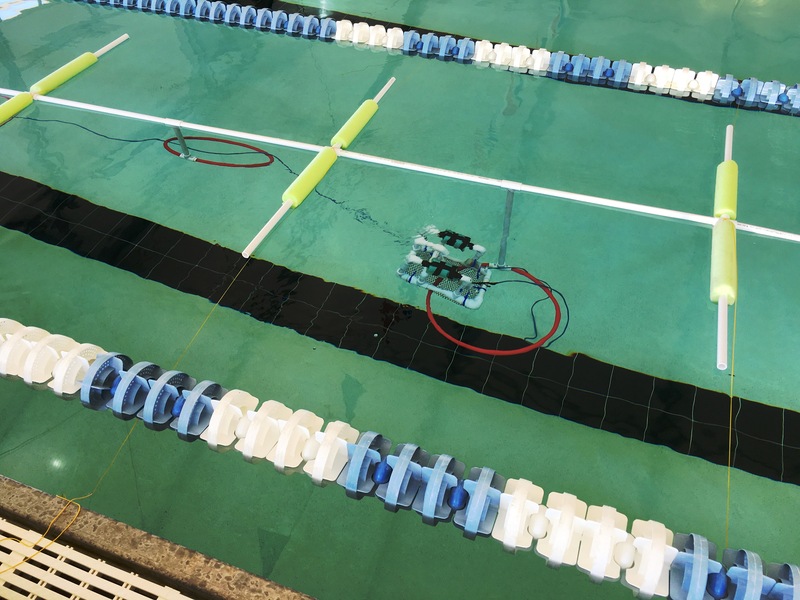 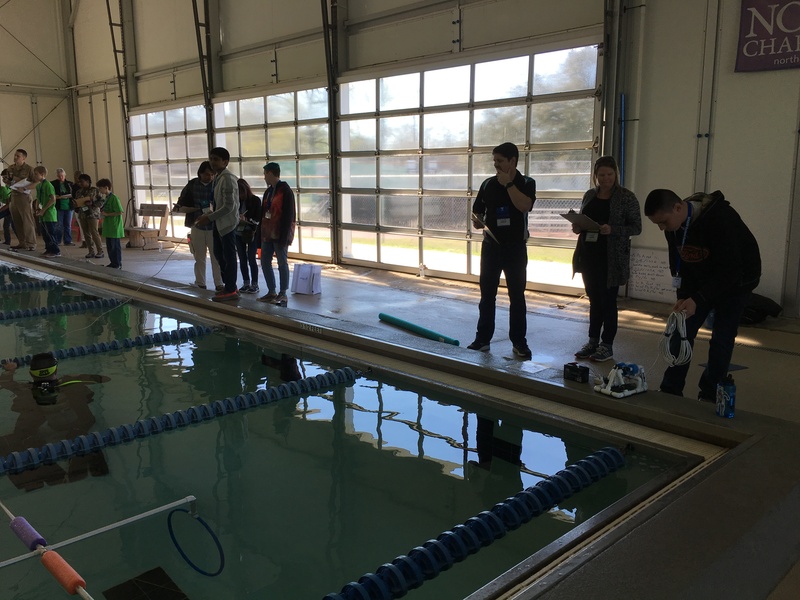 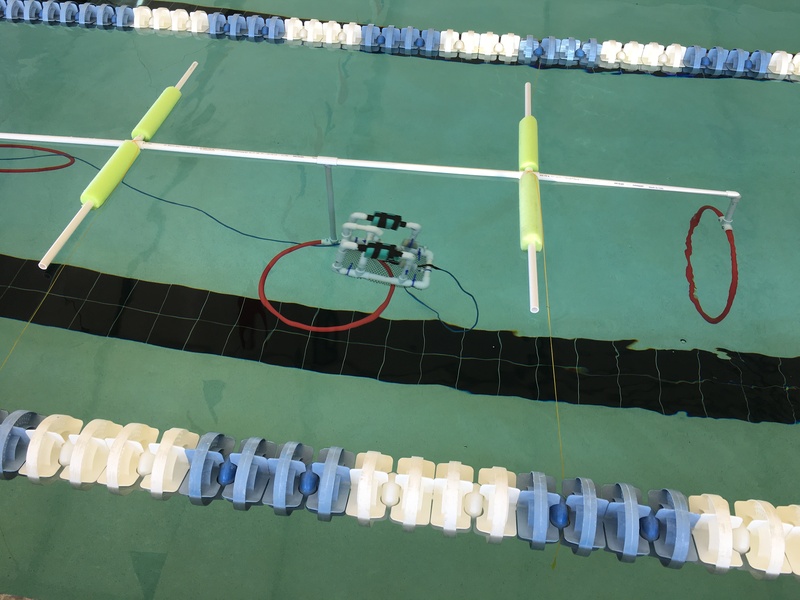 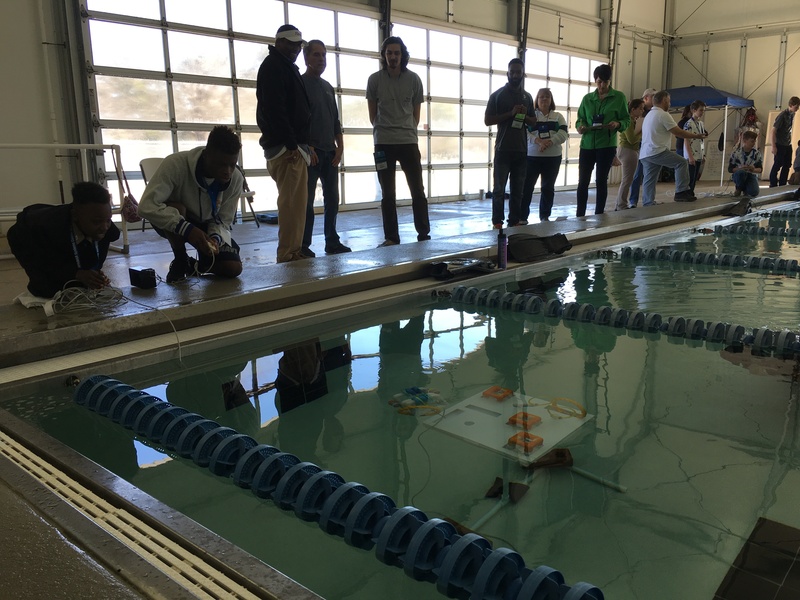 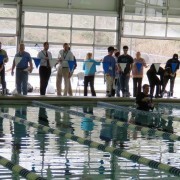 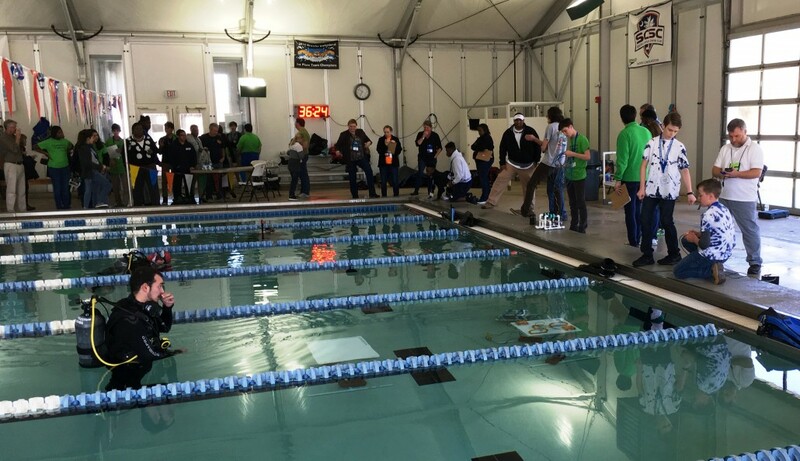 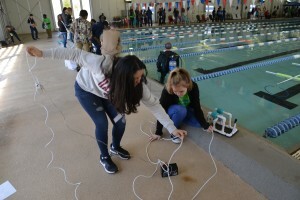 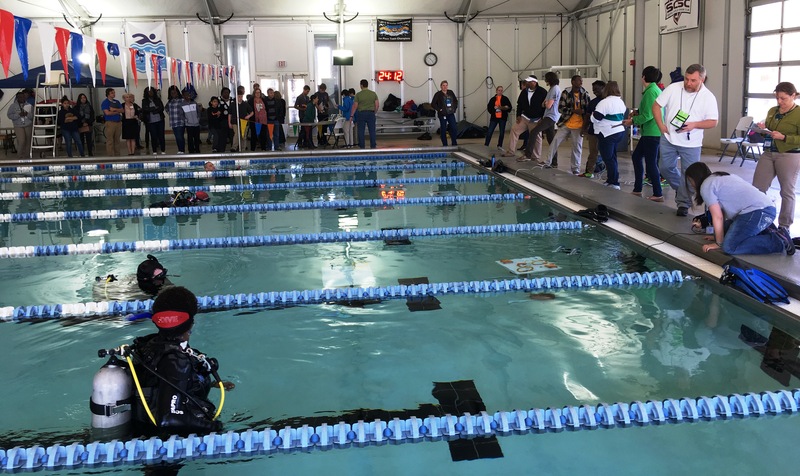 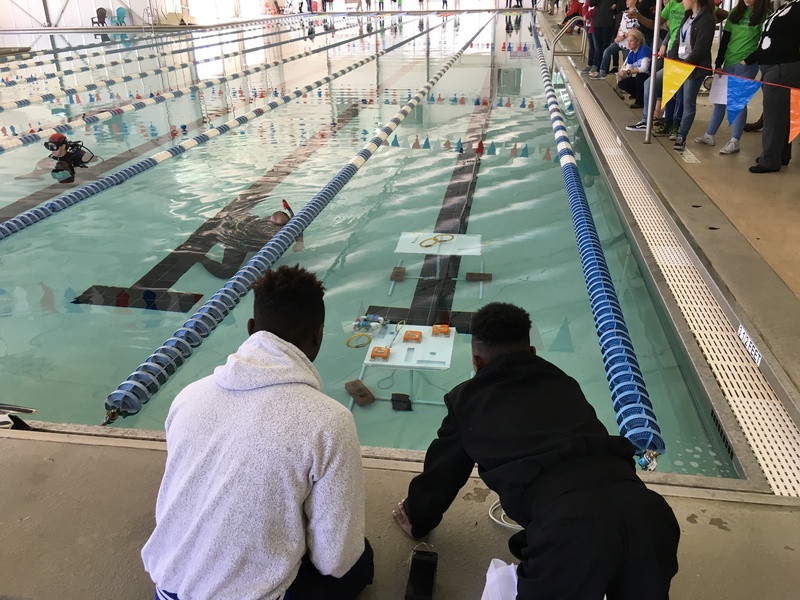 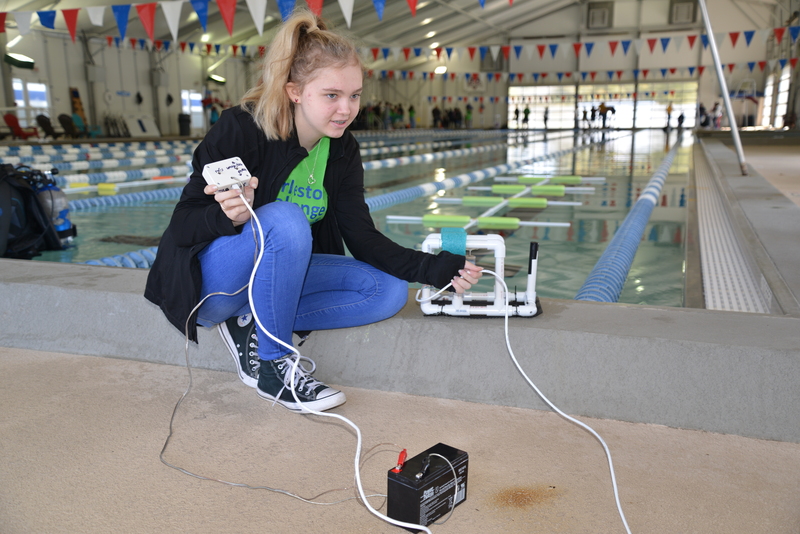 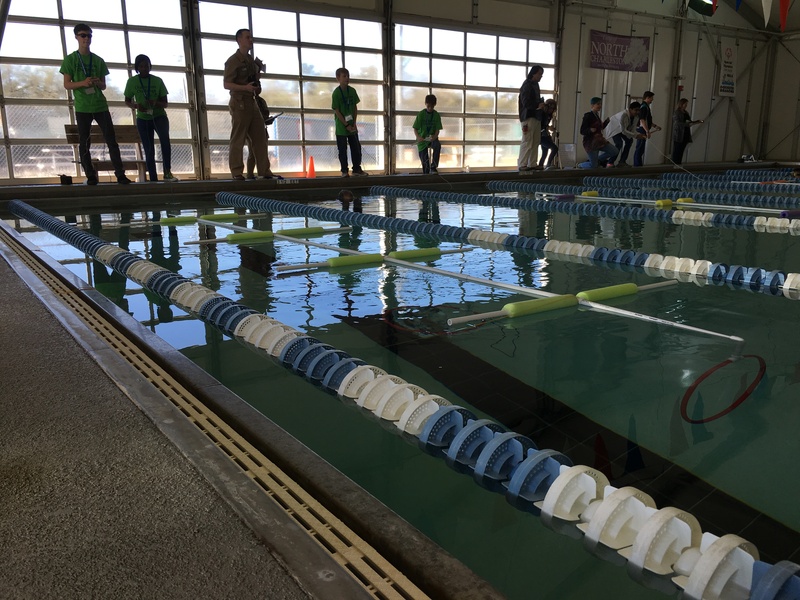 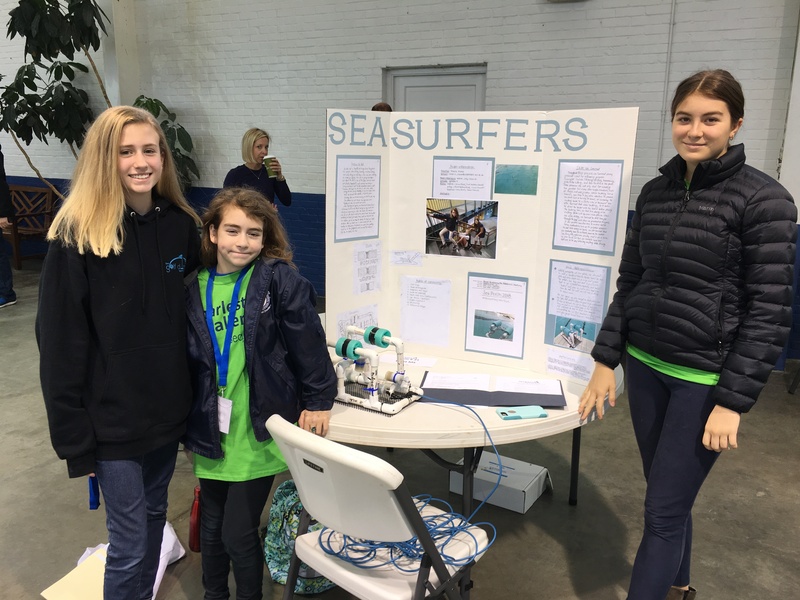 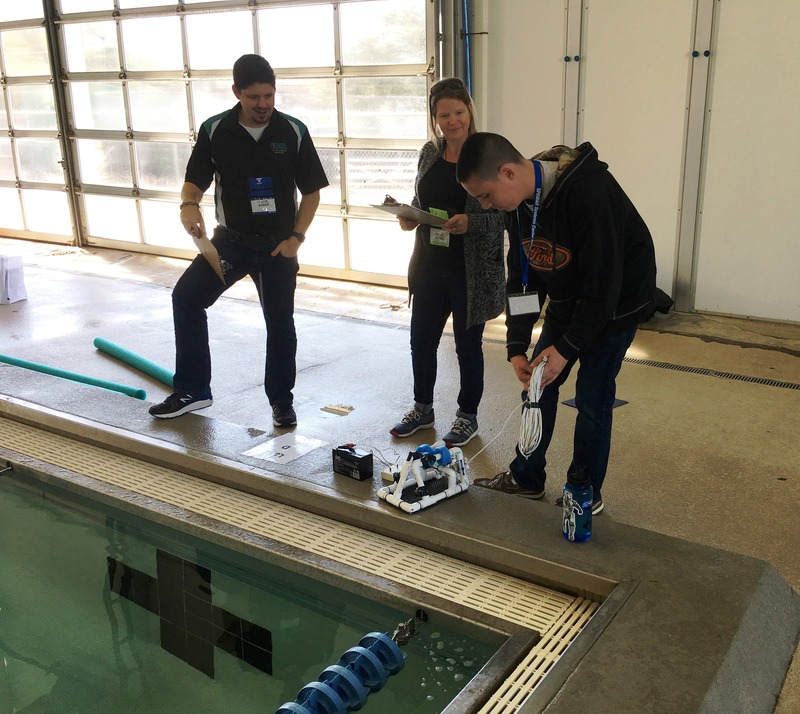 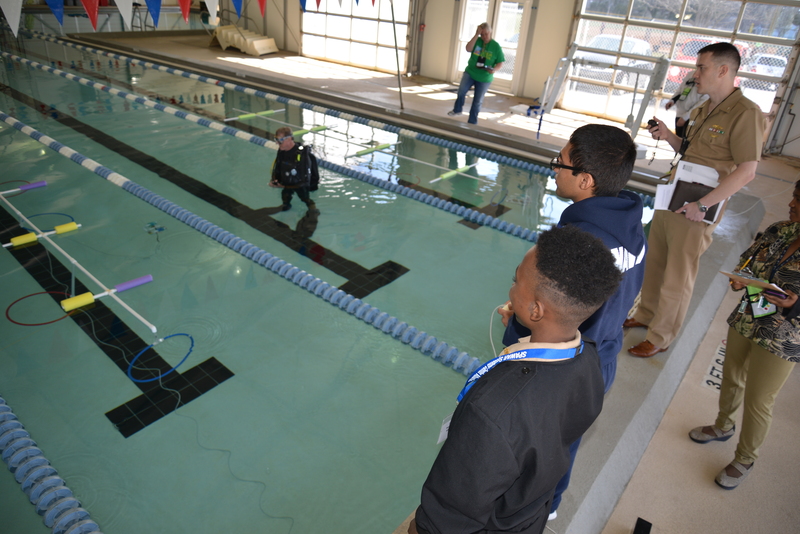 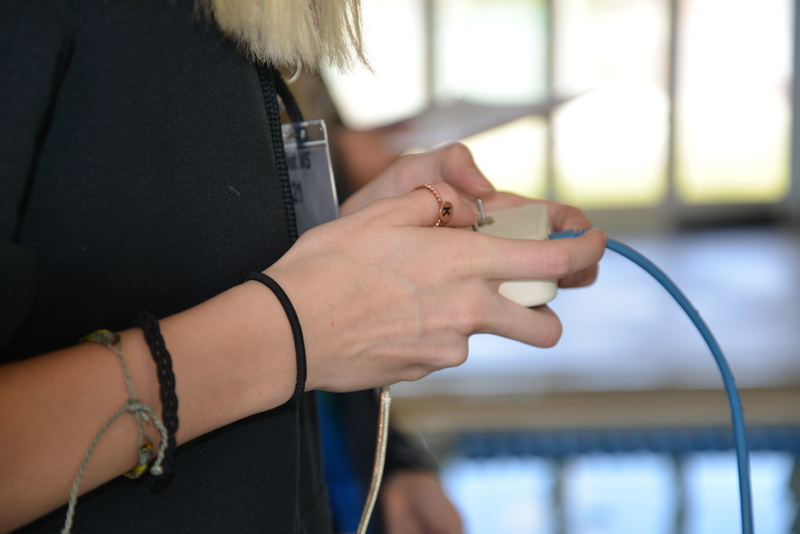 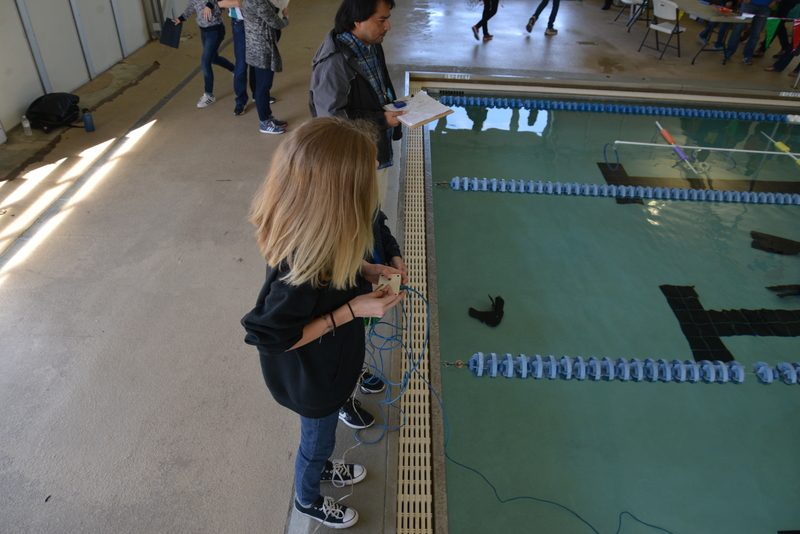 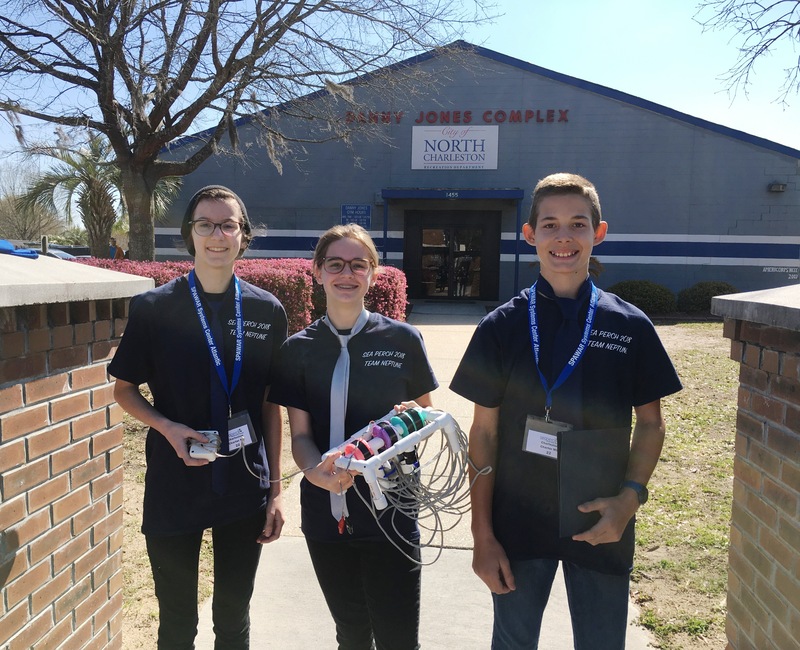 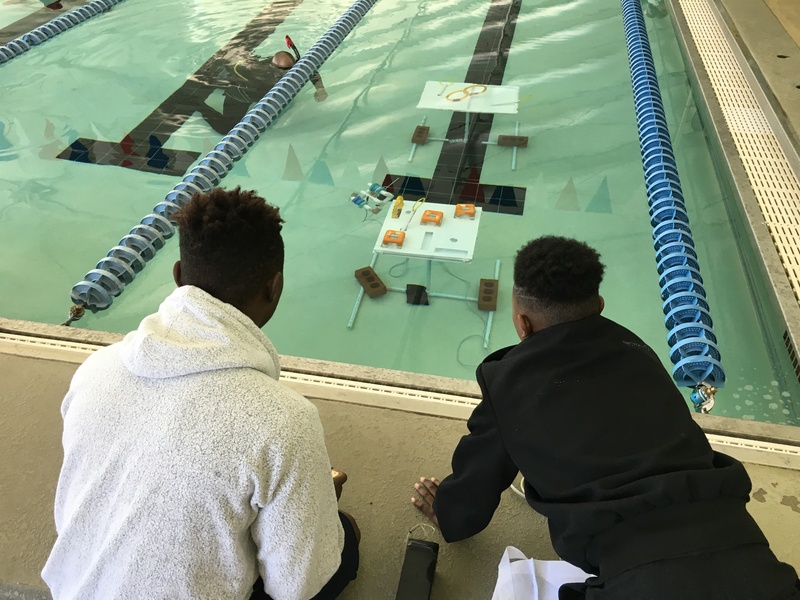 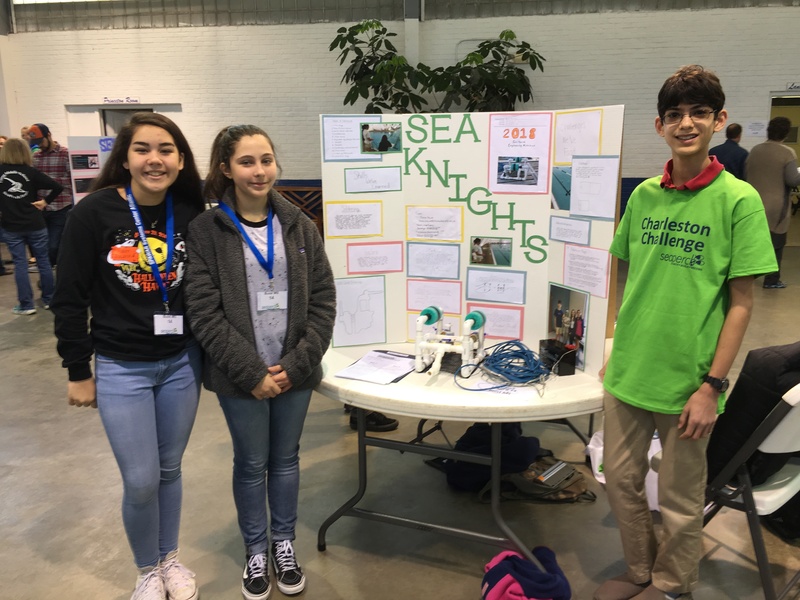 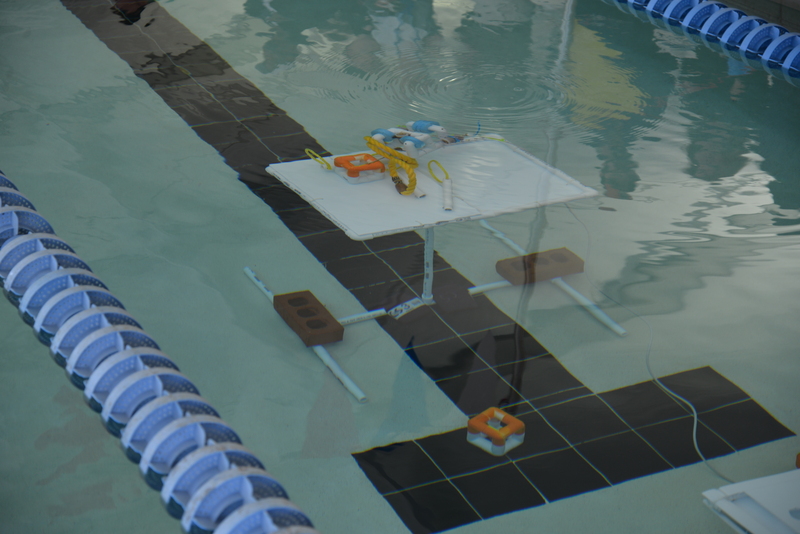 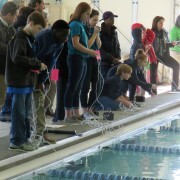 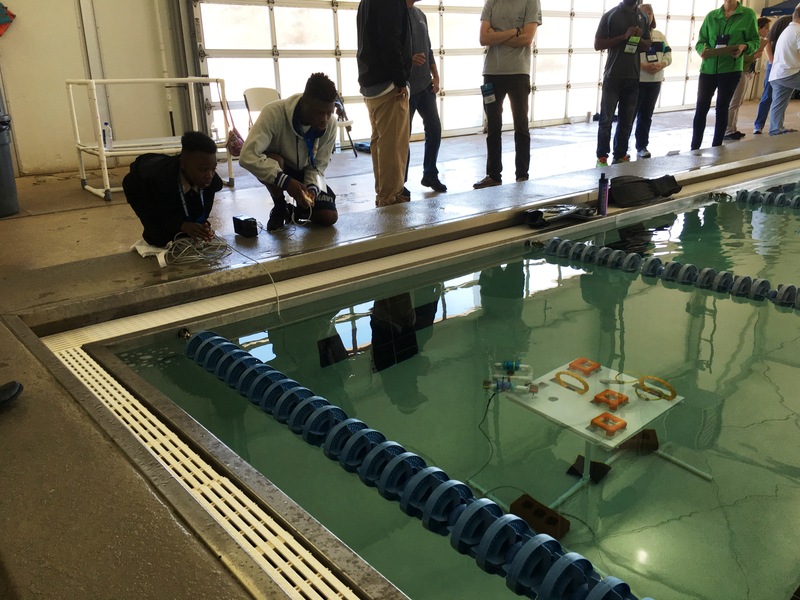 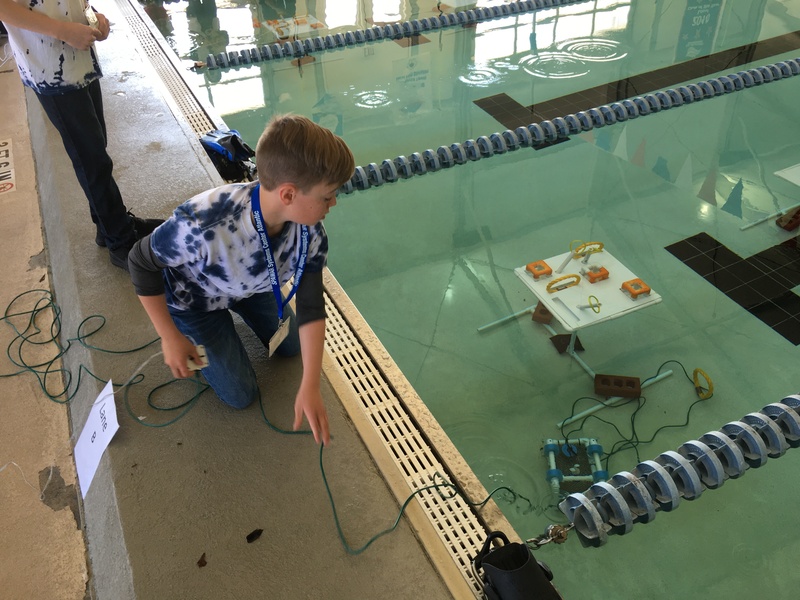 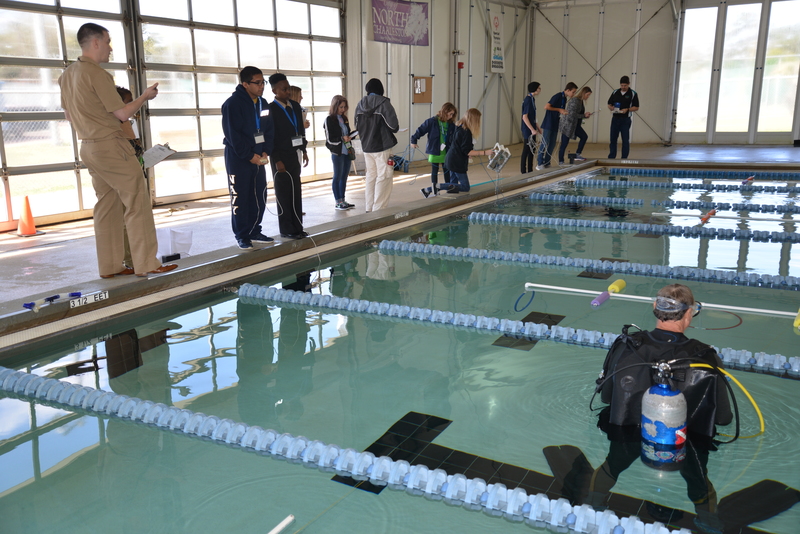 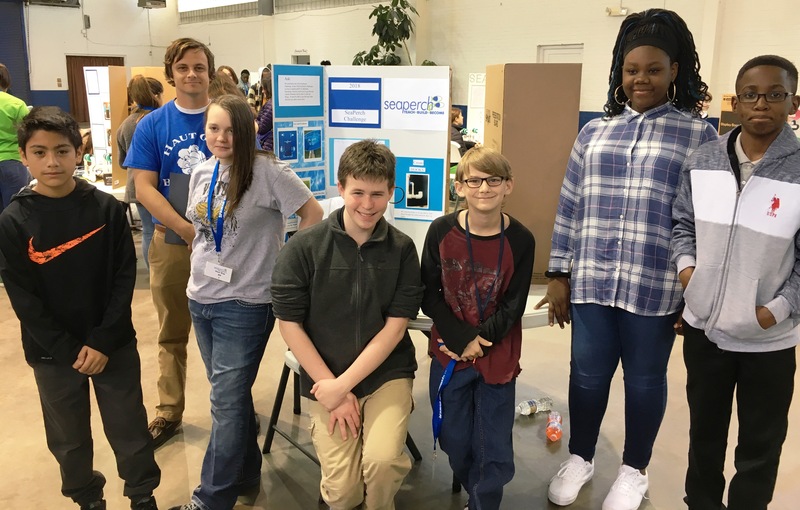 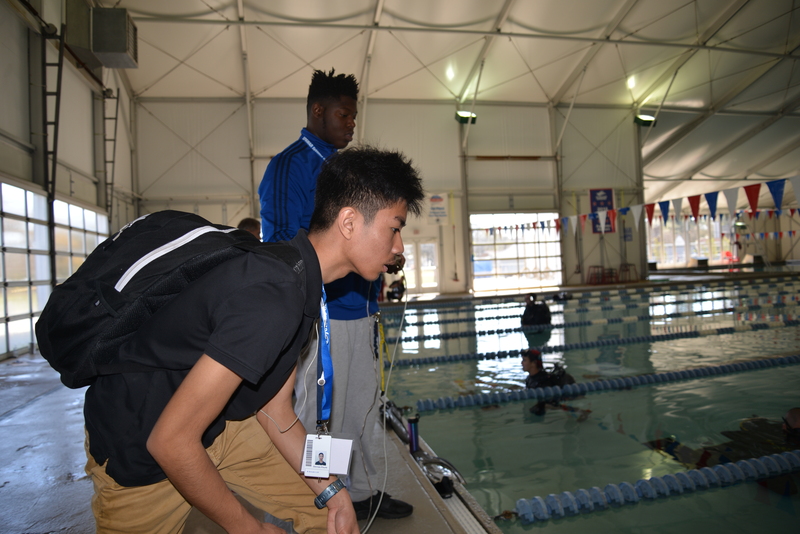 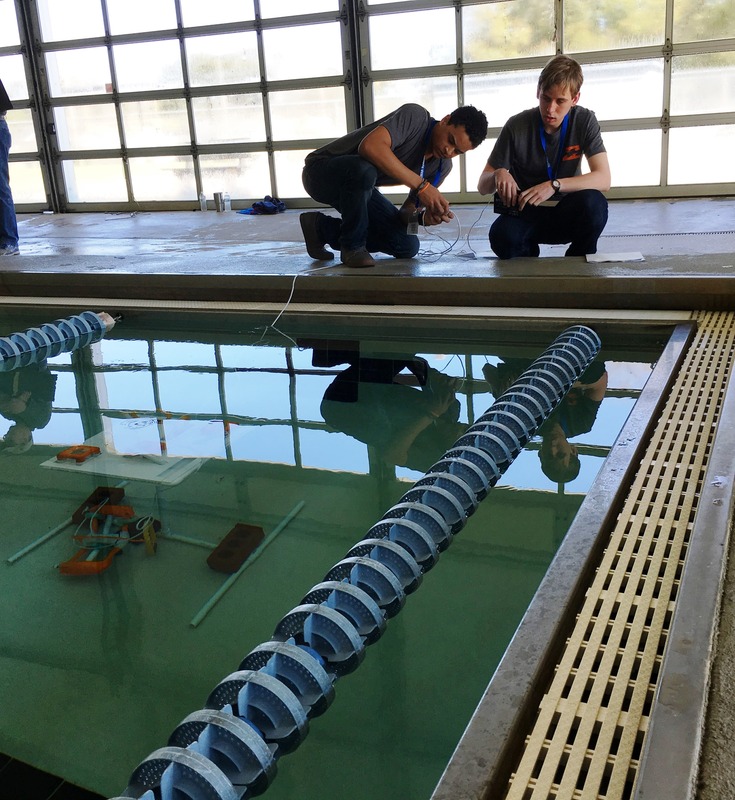 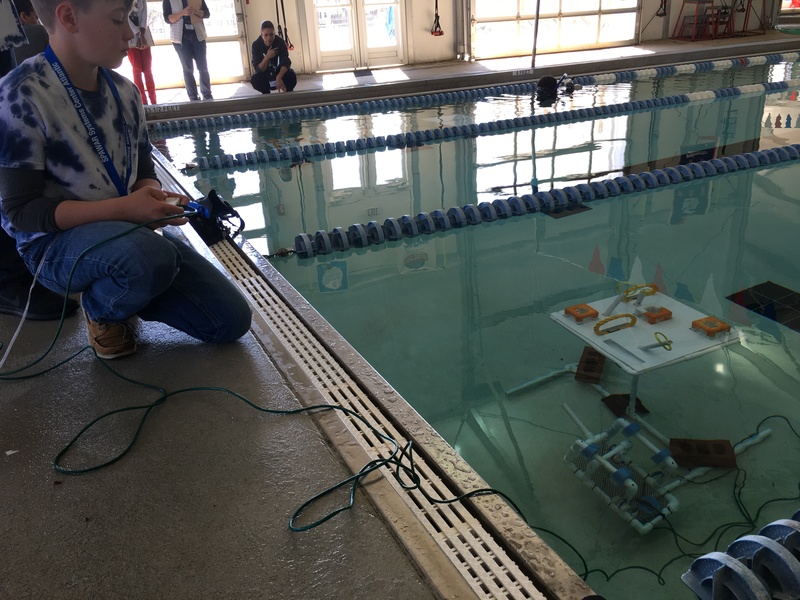 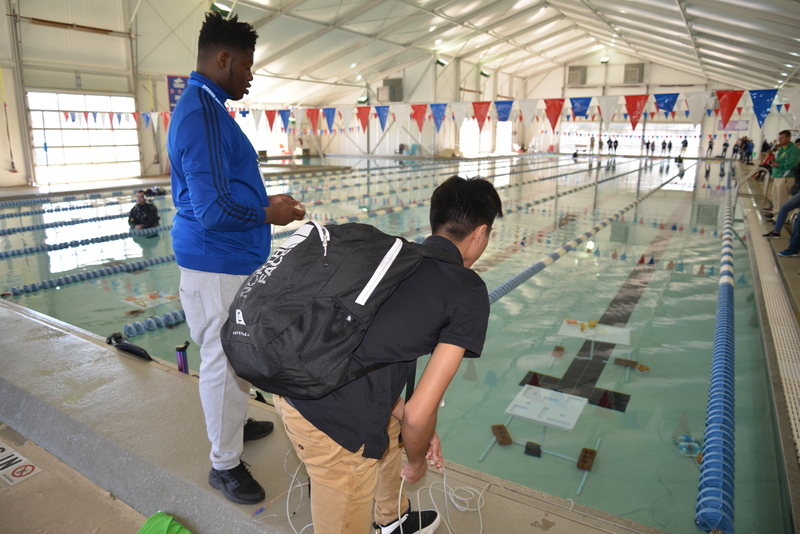 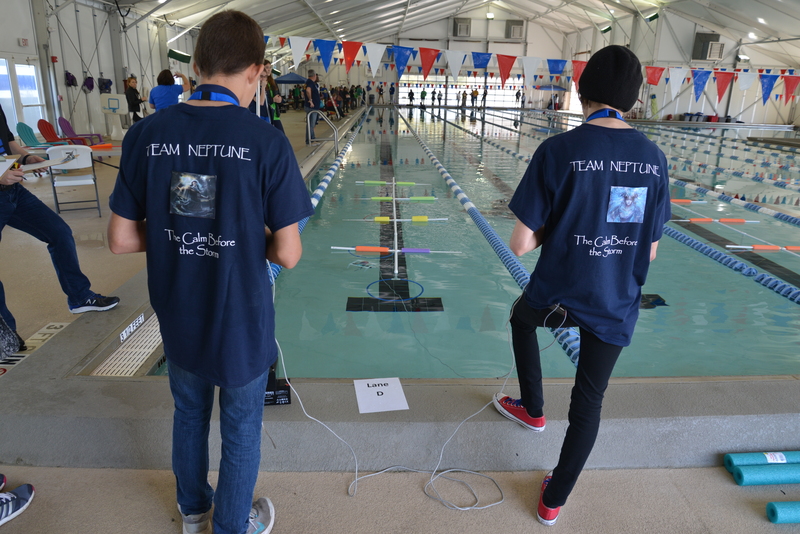 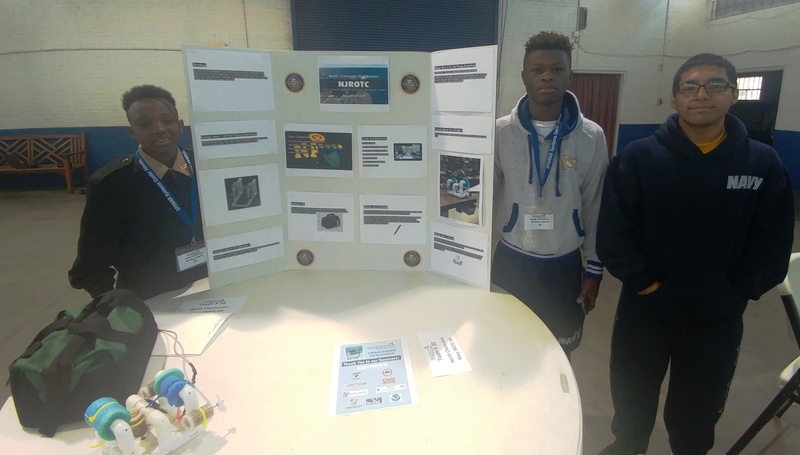 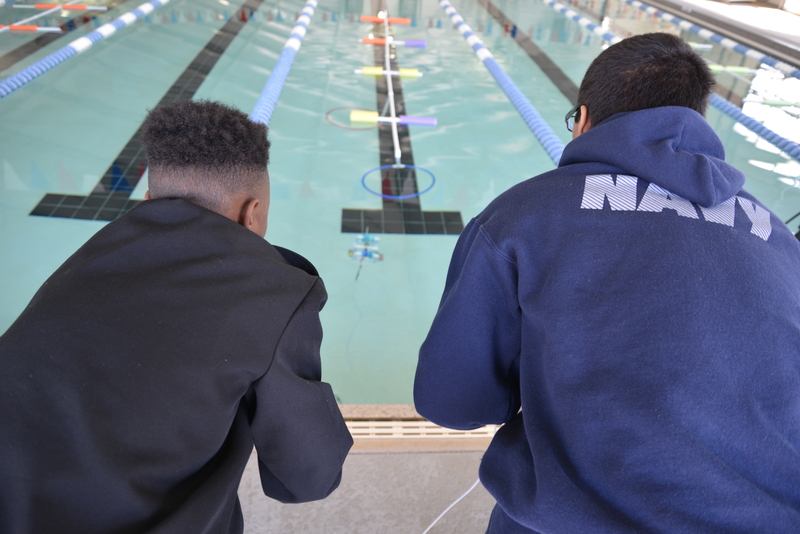 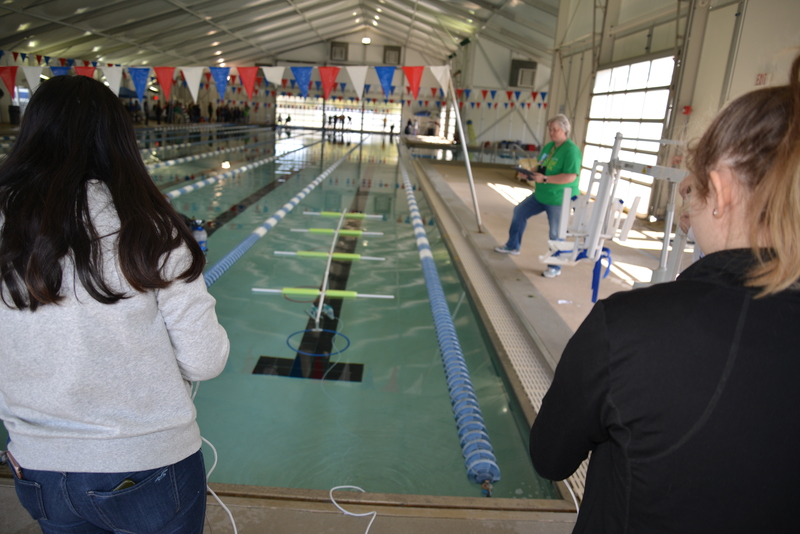 Students competed in a variety of events, both in the pool with the underwater robots they built and tested as a team, and in interviews with the judges on how they worked together to prepare for the event. The staging of the event was a terrific success again this year thanks to CCSD Science Curriculum Specialist Rodney Moore, and an amazing group of volunteers from SPAWAR and other Lowcountry STEM Collaborative partners. 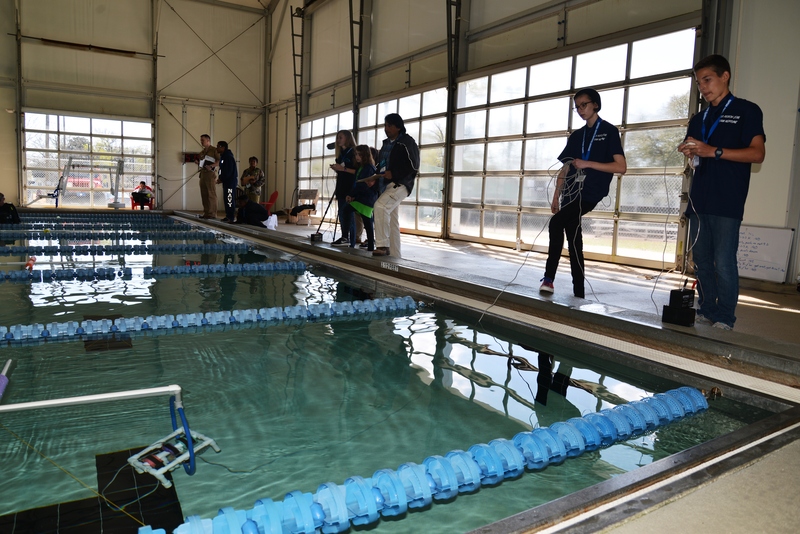 Volunteer divers were in the pool setting up the course by 8am, and judges were briefed on their roles for the day by 9am! 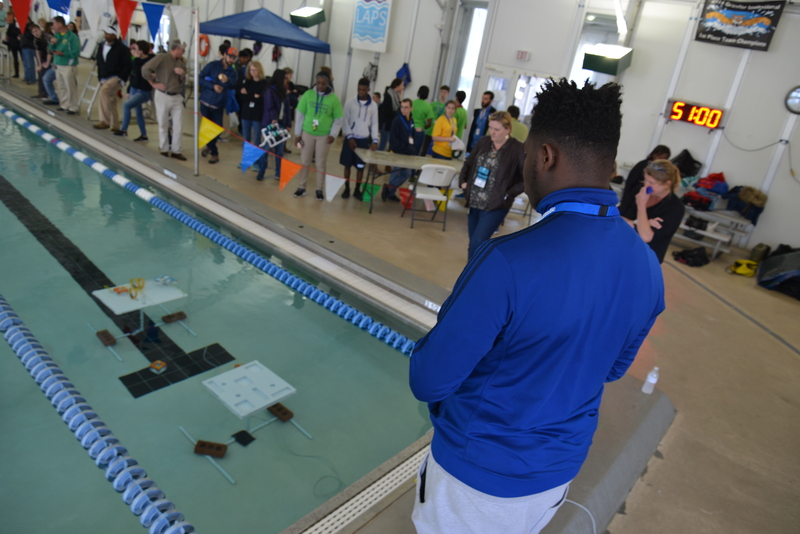 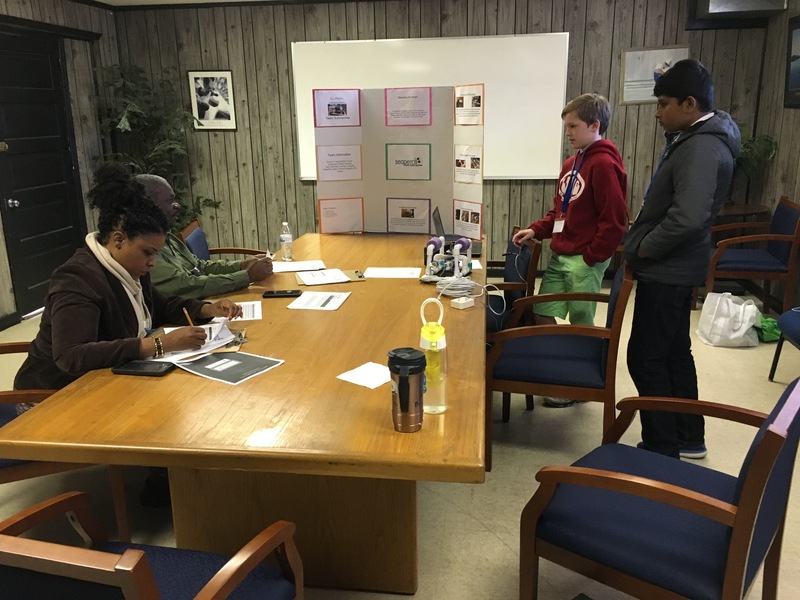 The event began with a brief opening session, and then the competition was on for the students and their advisers that had worked so hard to prepare. 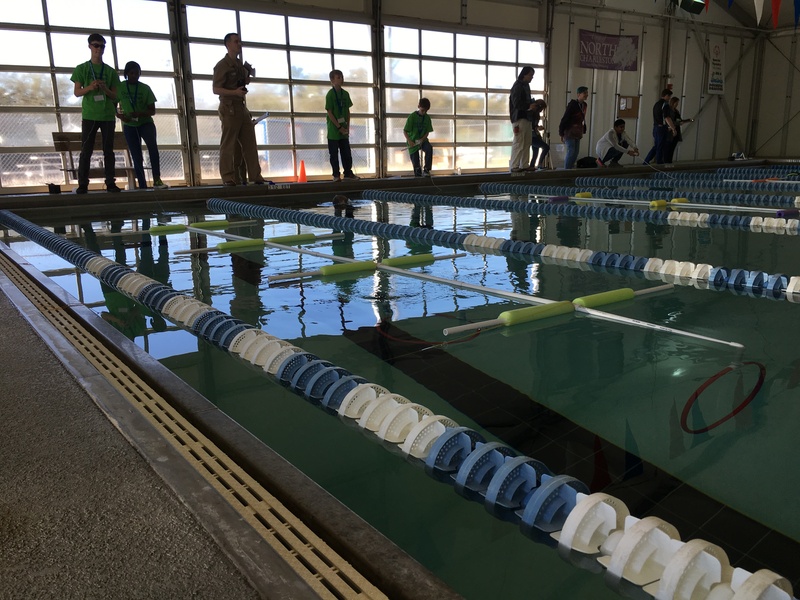 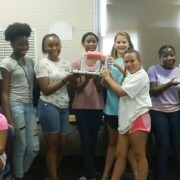 By noontime, the last of the ROVs had run it’s course, and the students, parents, and volunteers enjoyed some well deserved pizza for lunch while the judges tallied the scores to determine the winning teams for each event. 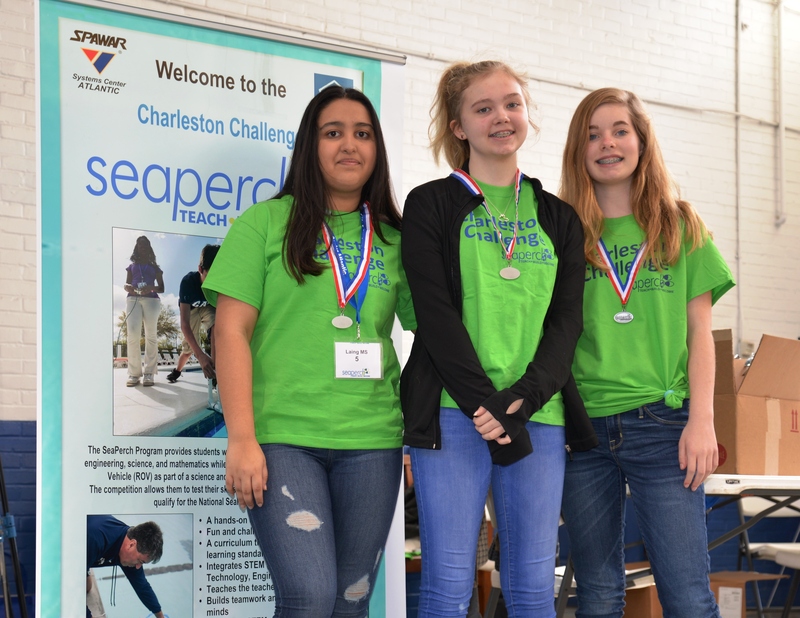 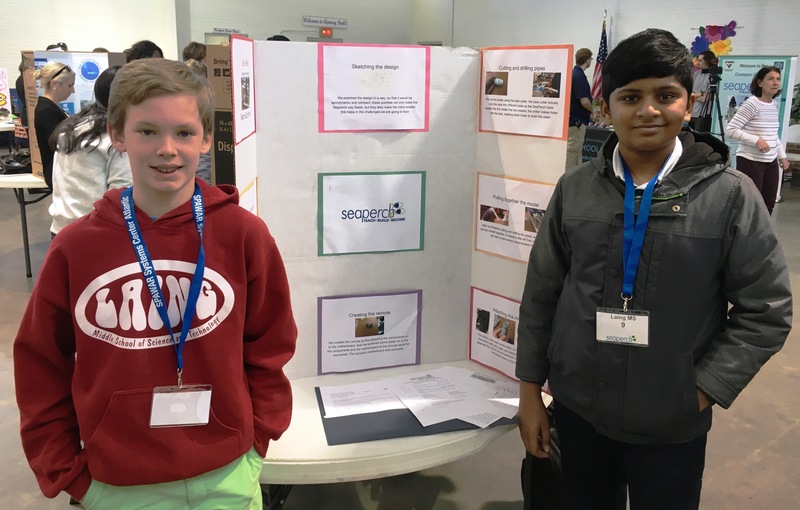 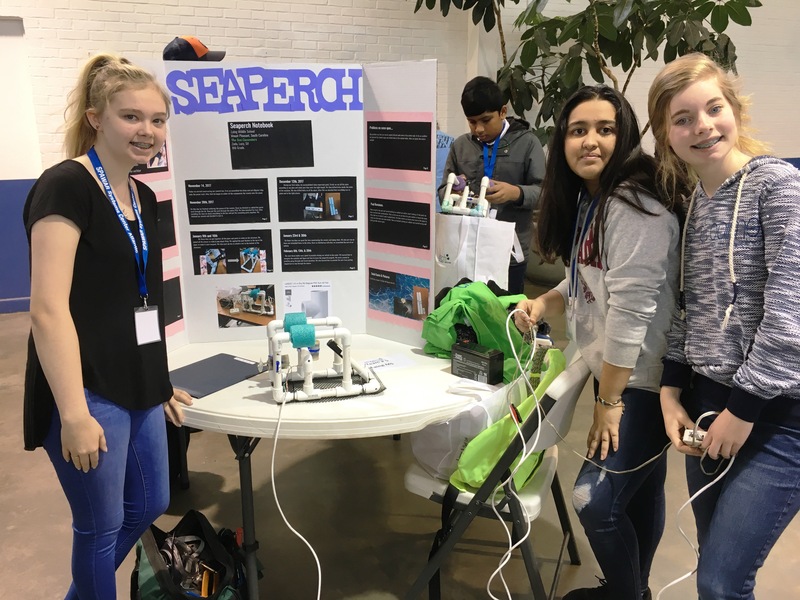 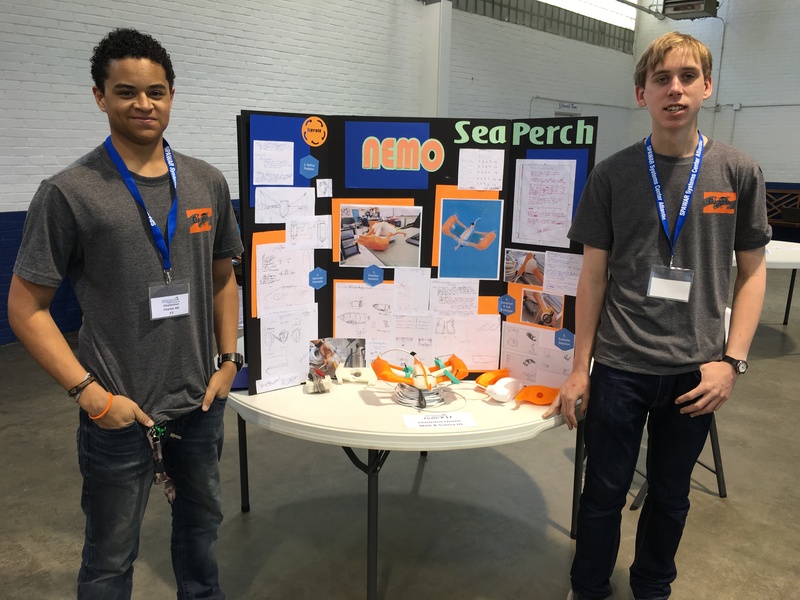 The overall winners for the High School and Middle School divisions will move on to compete in the International SeaPerch Challenge to be held June 1-3, 2018 at the University of Massachusetts Dartmouth in North Dartmouth, Massachusetts. 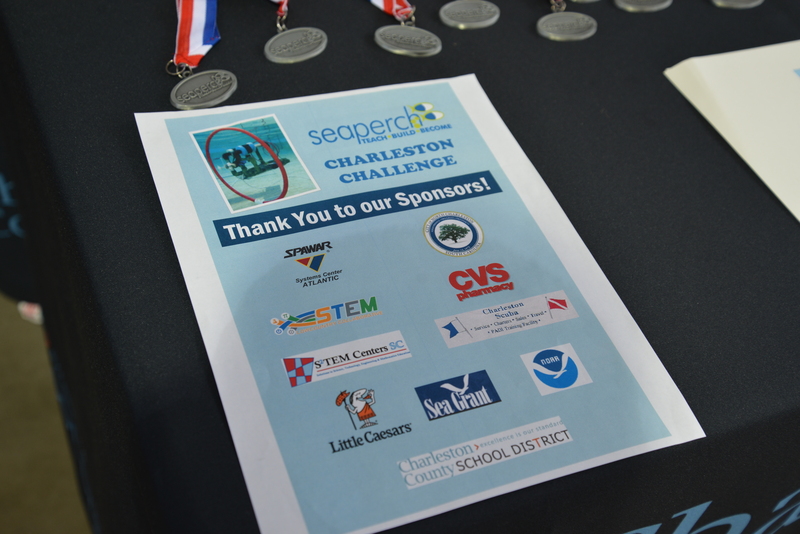 Results and a gallery of additional pictures from the event are below – Thanks to all the business partners, community volunteers, educators, and parents for supporting this sensational project-based learning opportunity, and congratulations to all the winning teams!